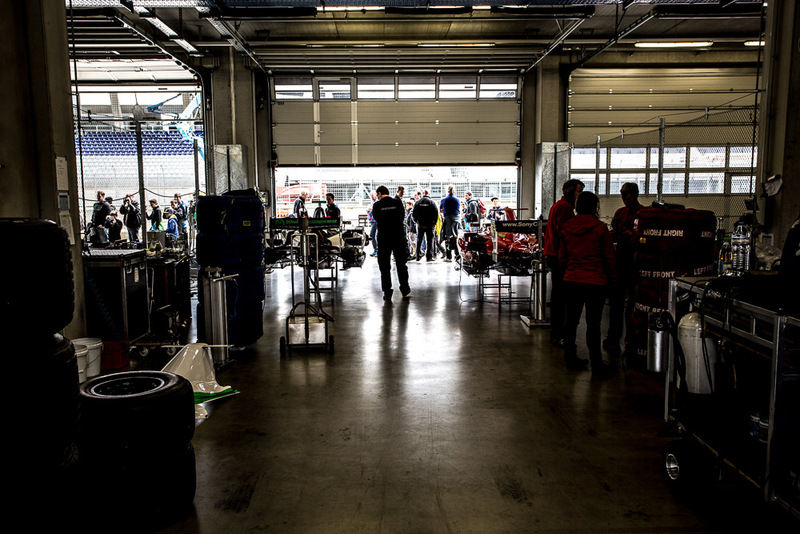 The weather god is obviously a motorsports fan. 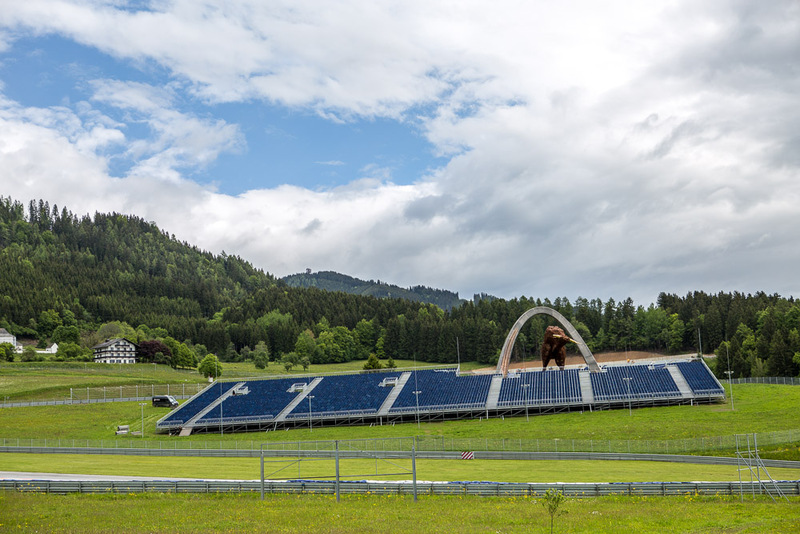 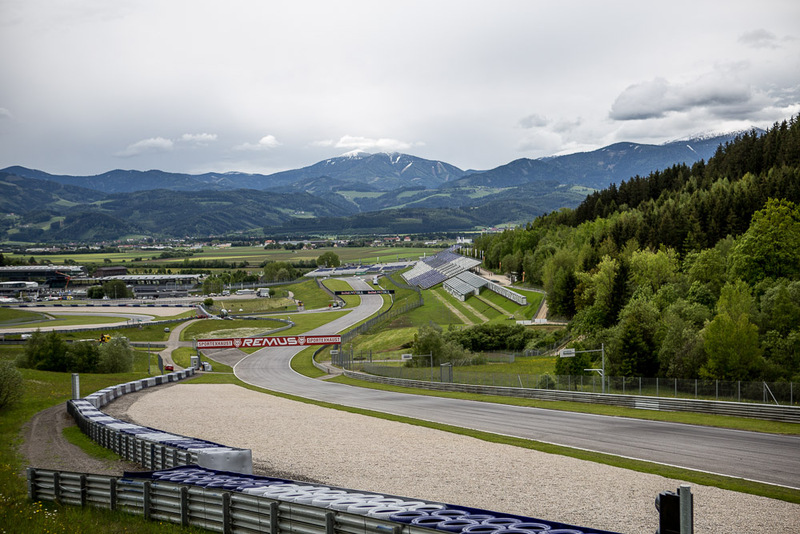 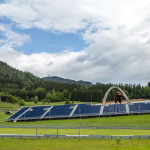 While the rest of Austria was drowned in water and storm, the small city of Spielberg, home of the Red Bull Ring, was mostly spared. 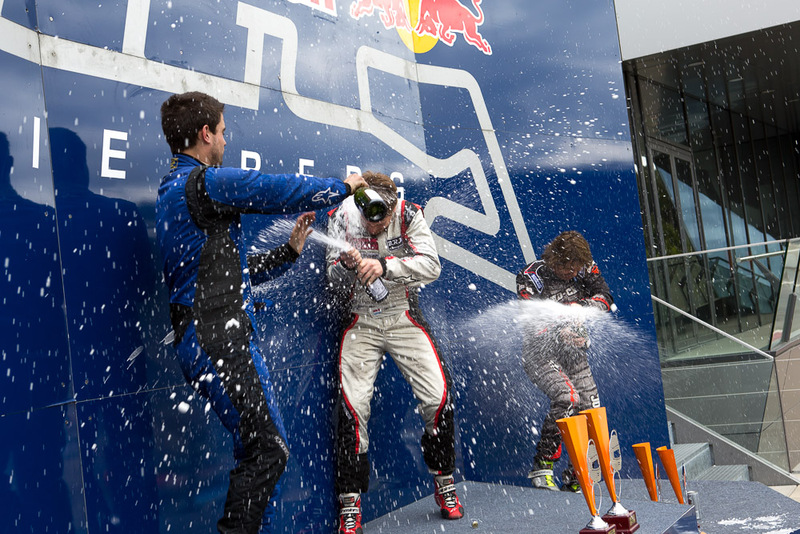 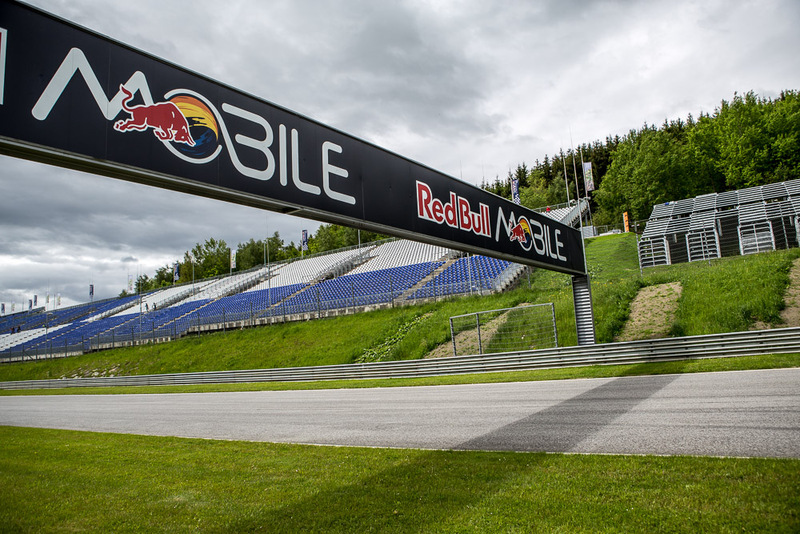 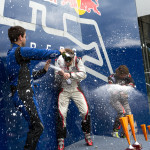 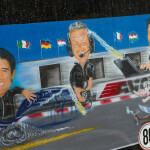 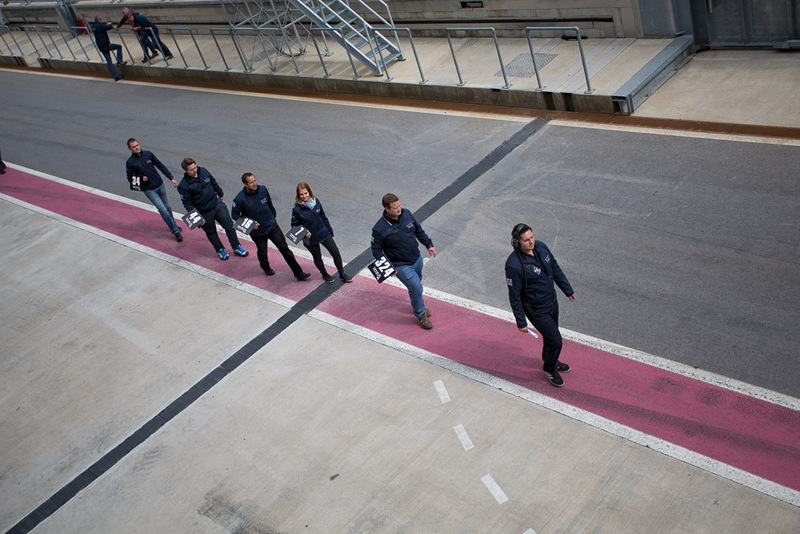 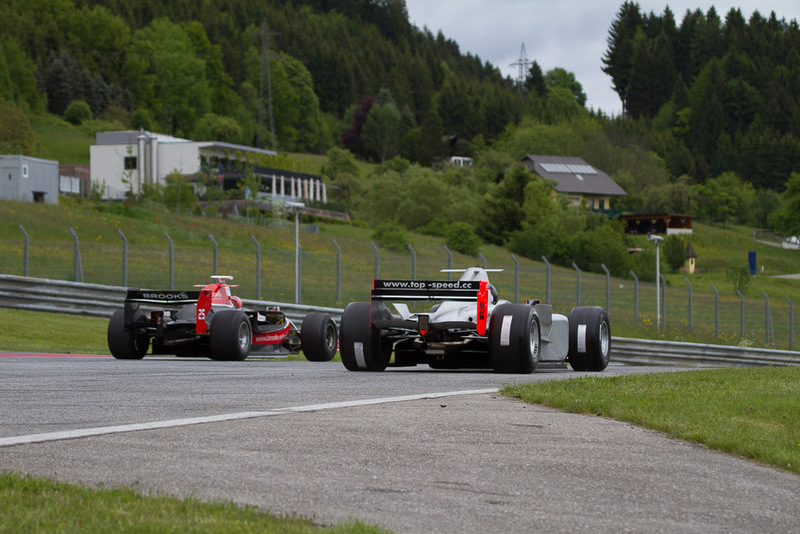 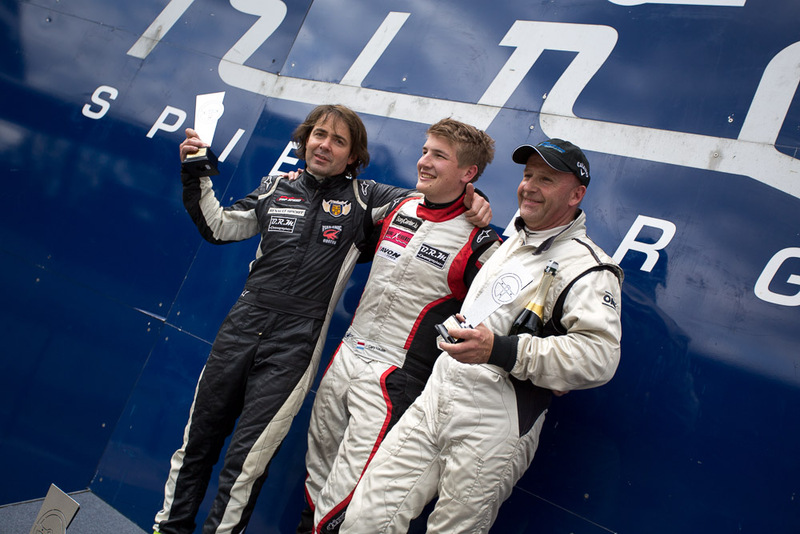 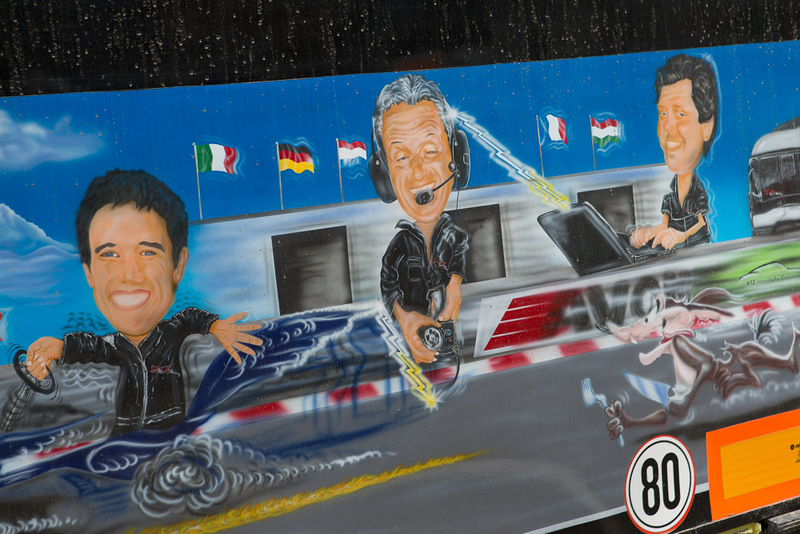 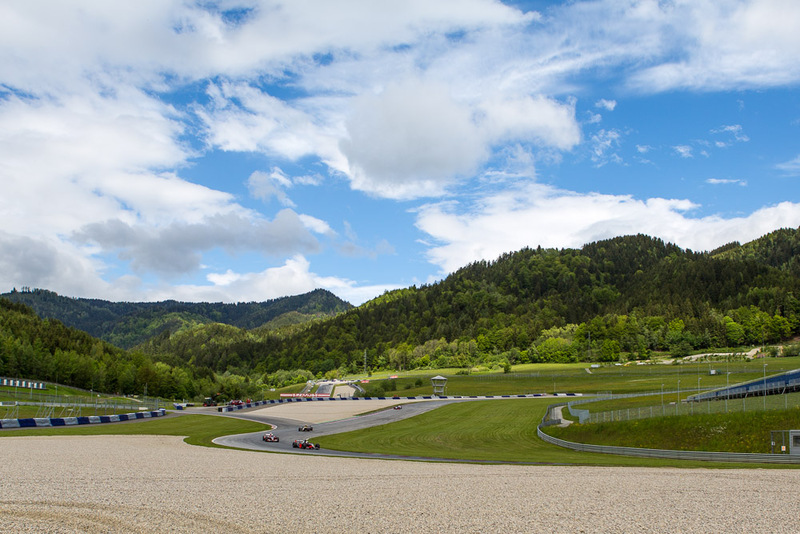 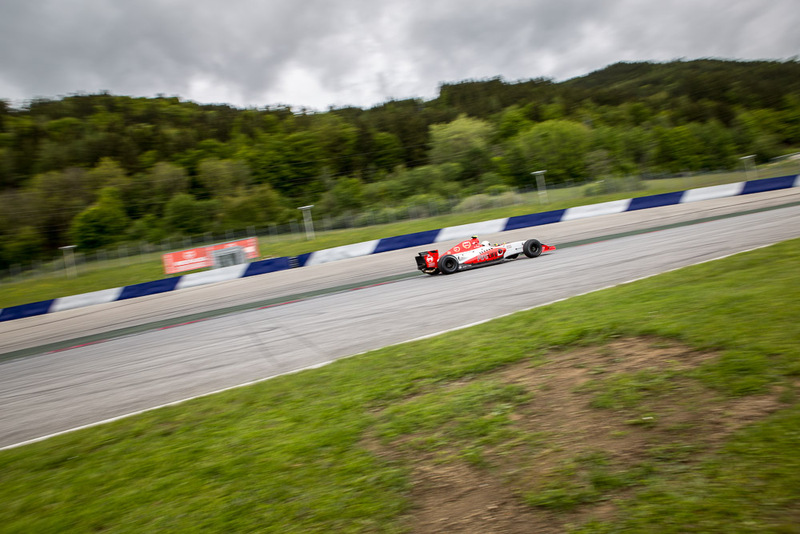 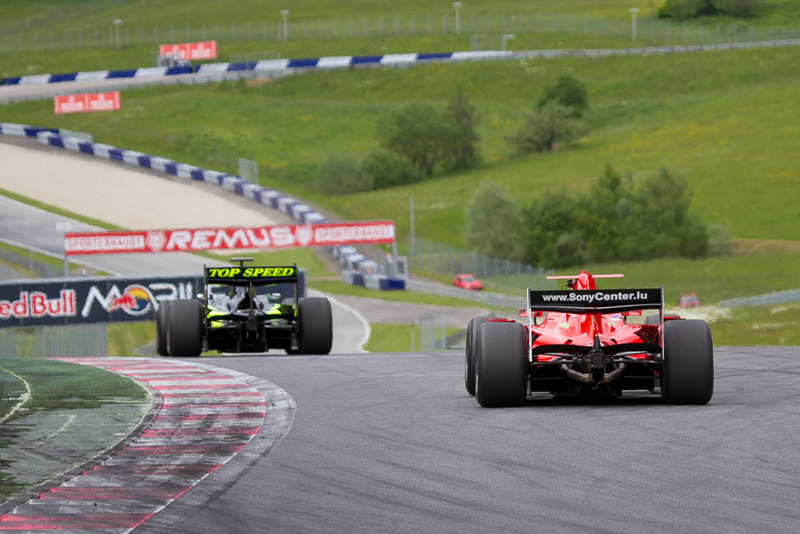 The stage was set for a perfect motorsport weekend and the BOSS GP pilots delivered. 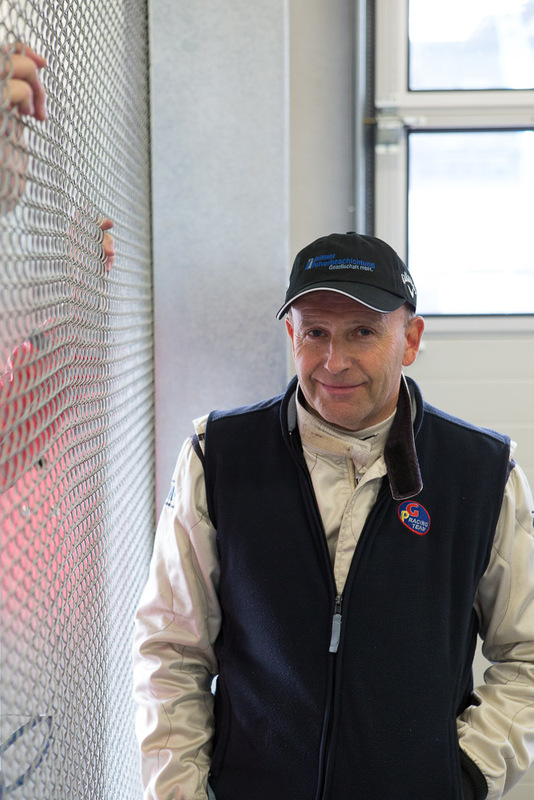 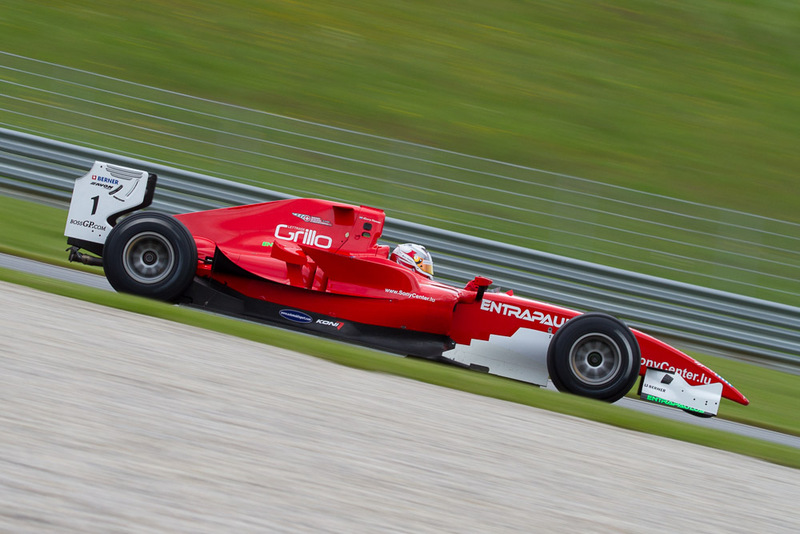 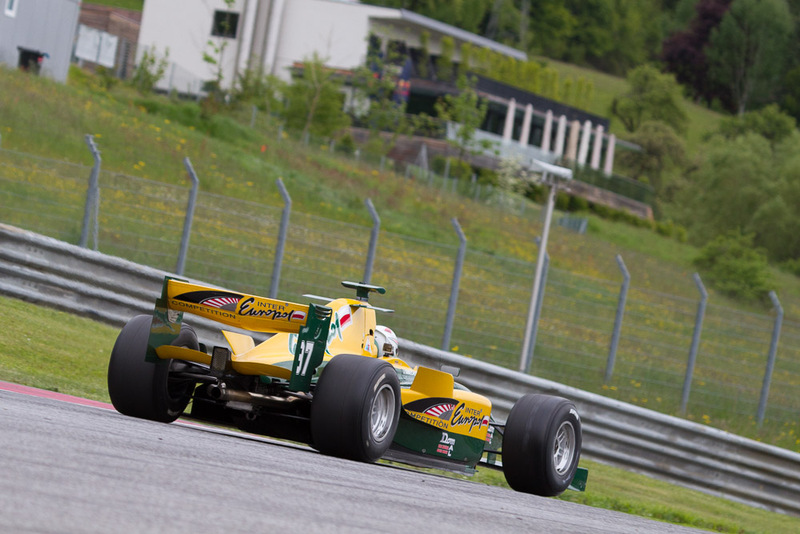 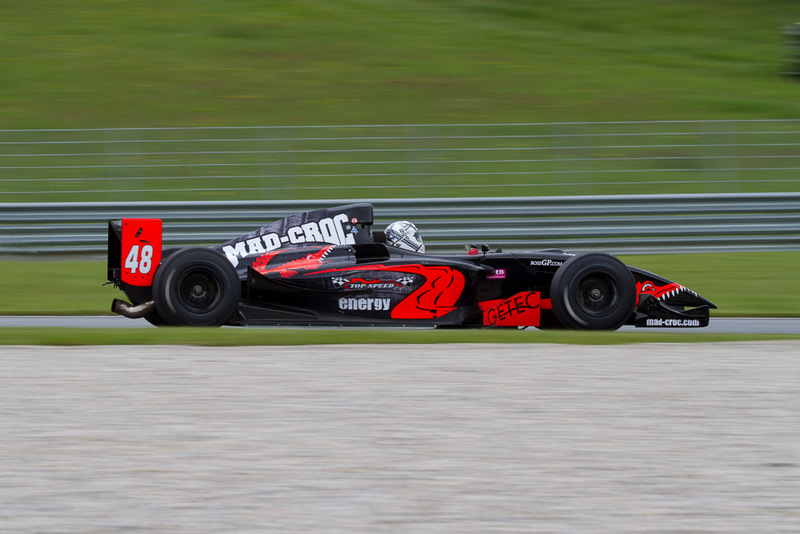 Once again Gary Hauser delivered an exceptional performance in his Dallara GP2, but this time BOSS GP Veteran Ingo Gerstl was ready to put up a fight and pushed him hard. 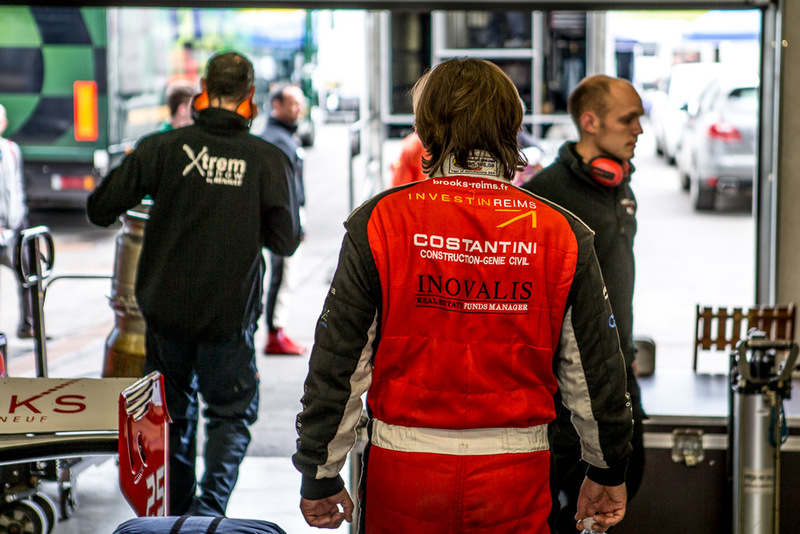 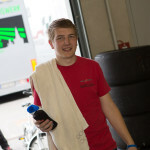 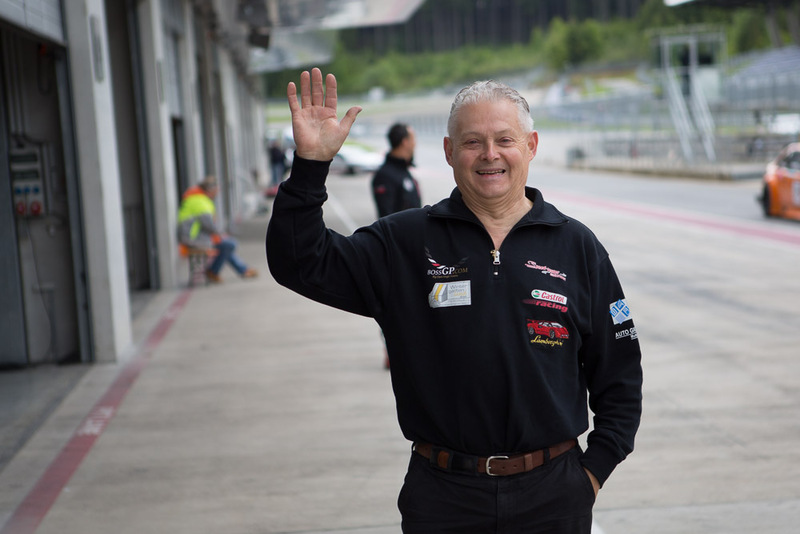 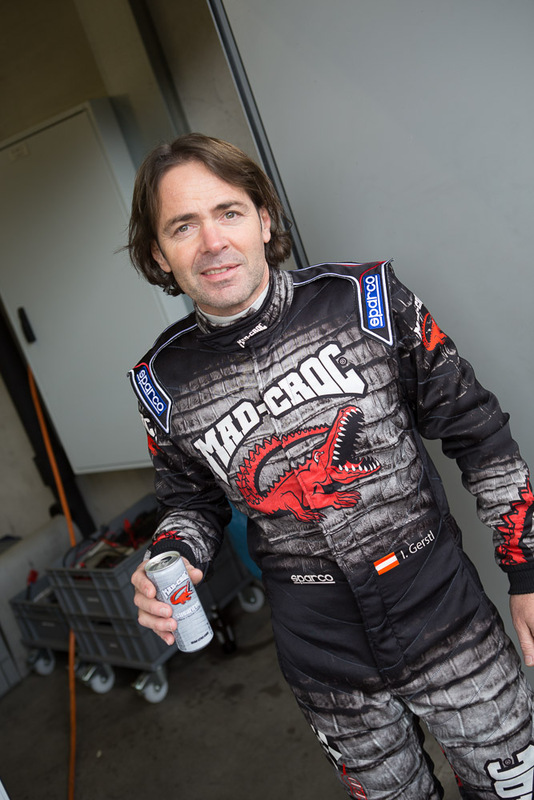 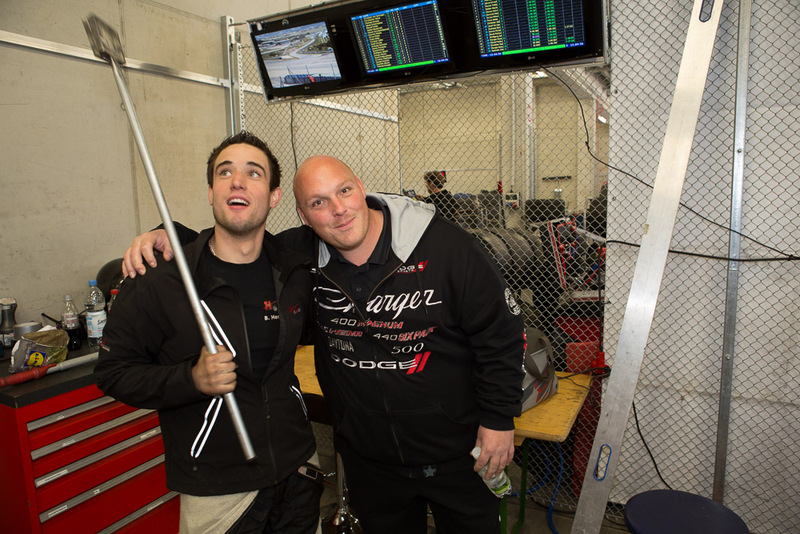 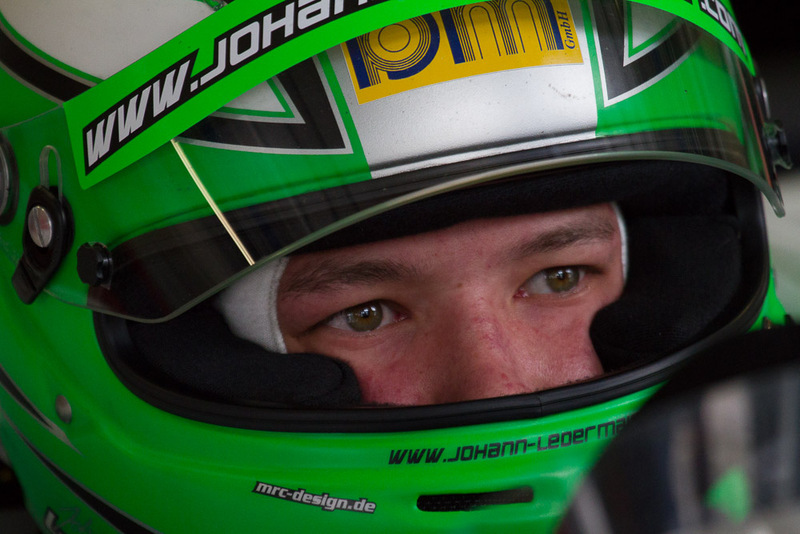 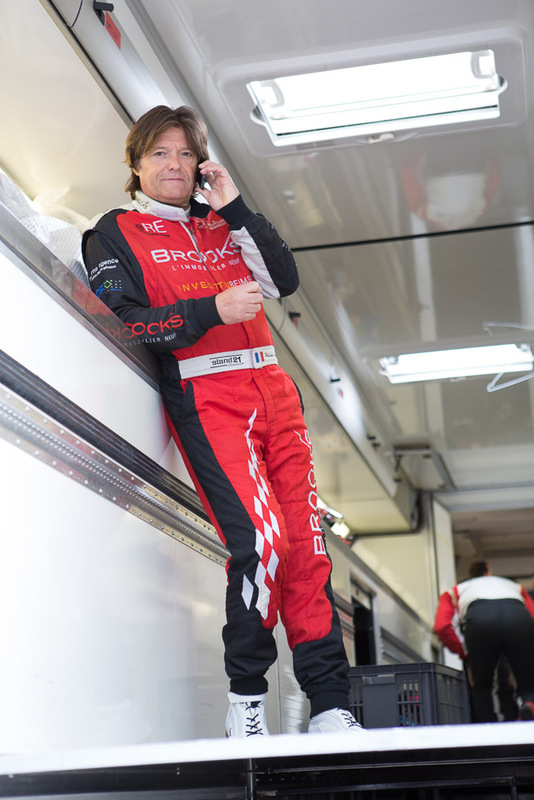 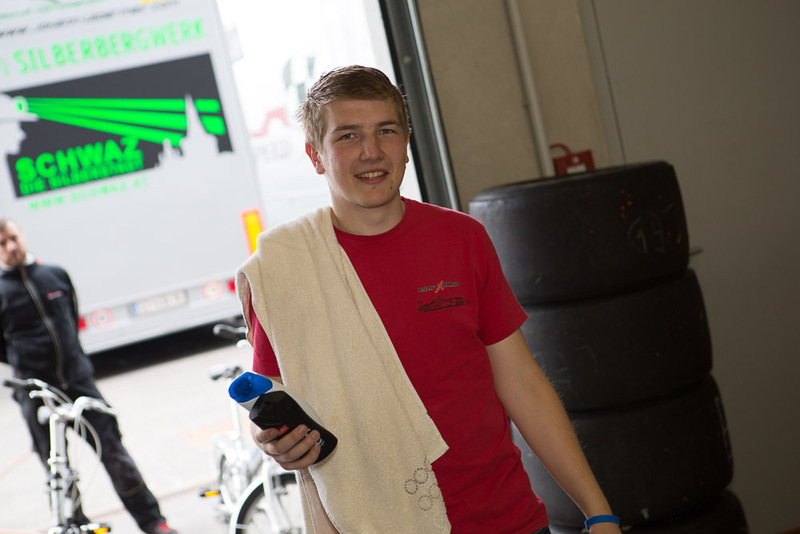 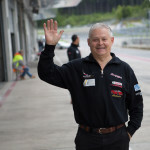 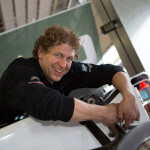 Gerstl, who had to fight with technical difficulties in Hockenheim and Mugello is finally back. 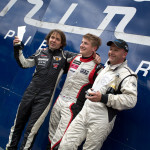 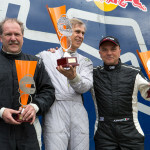 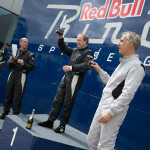 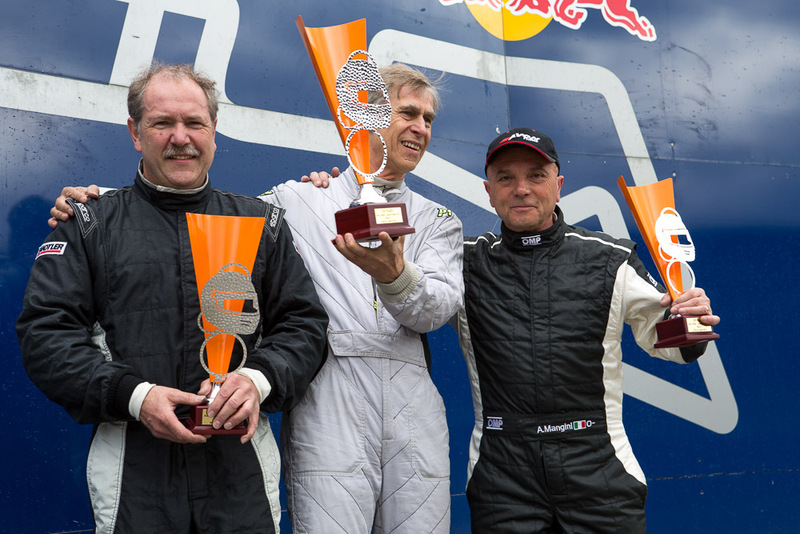 In both races he fought a thrilling battle with Gary Hauser for the top position. 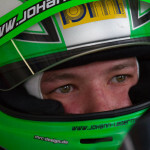 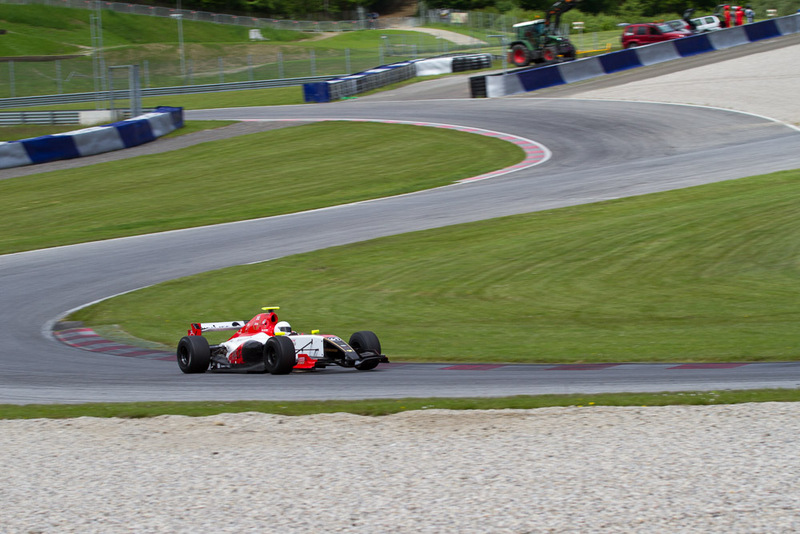 At the end of race one only 0,546 seconds separated him from the top spot. 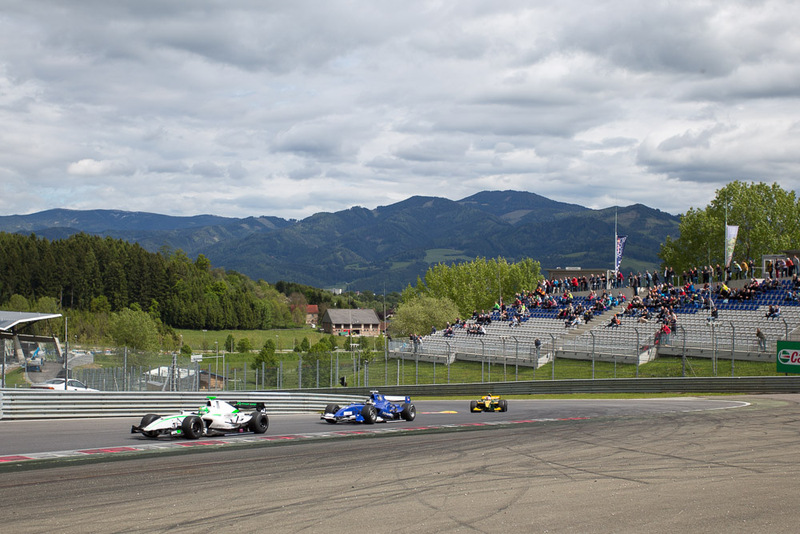 His countrymen Peter Milavec (+19.938s) and Bernd Herndlhofer (+28.136s) followed on position three and four. 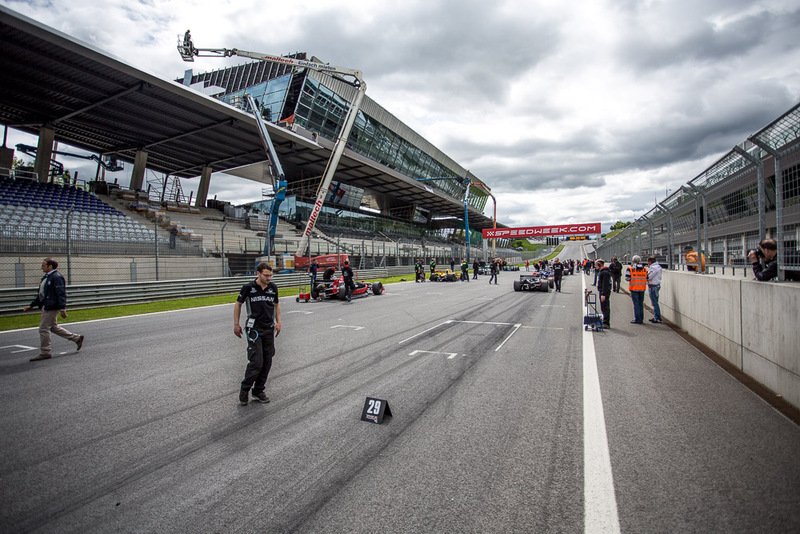 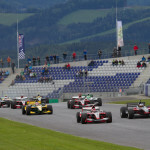 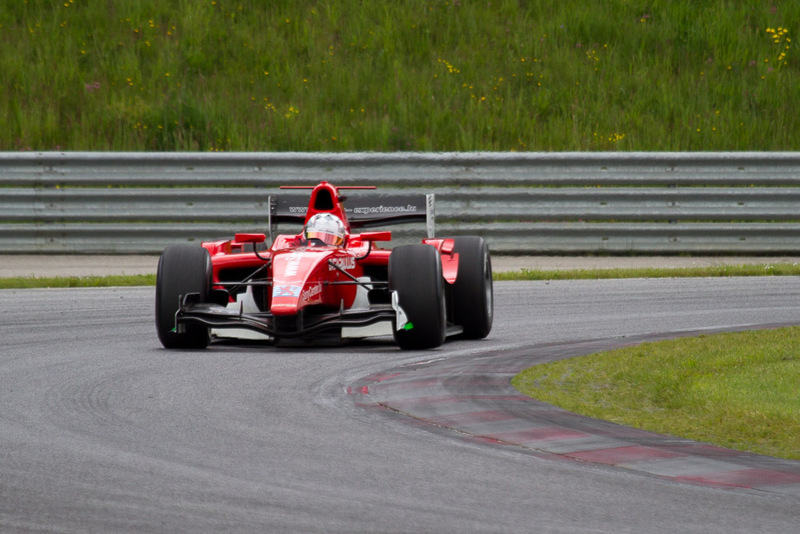 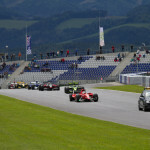 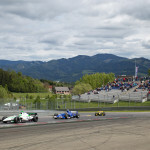 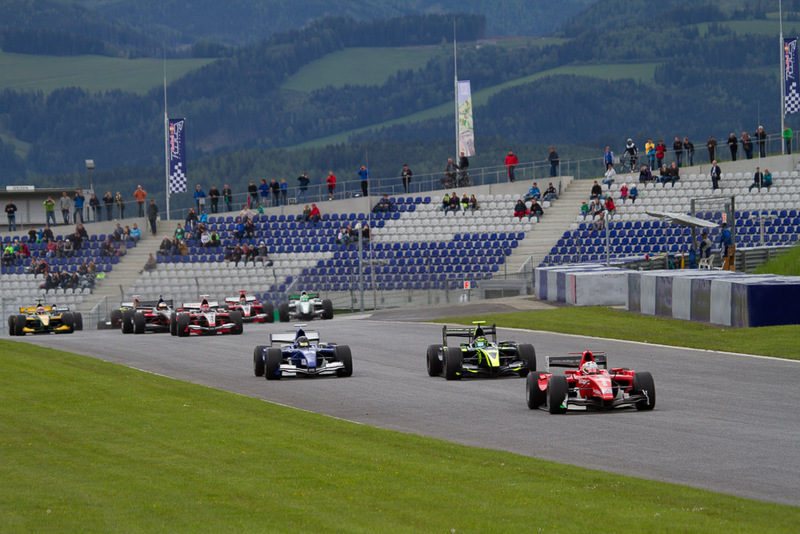 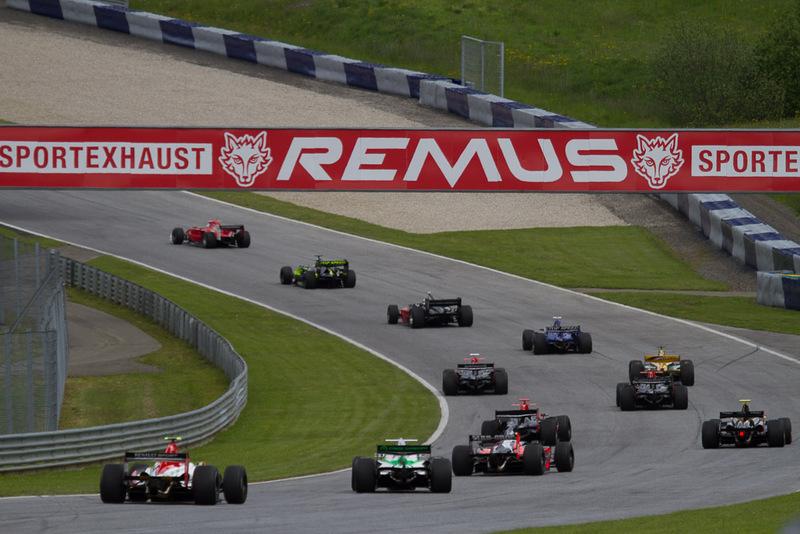 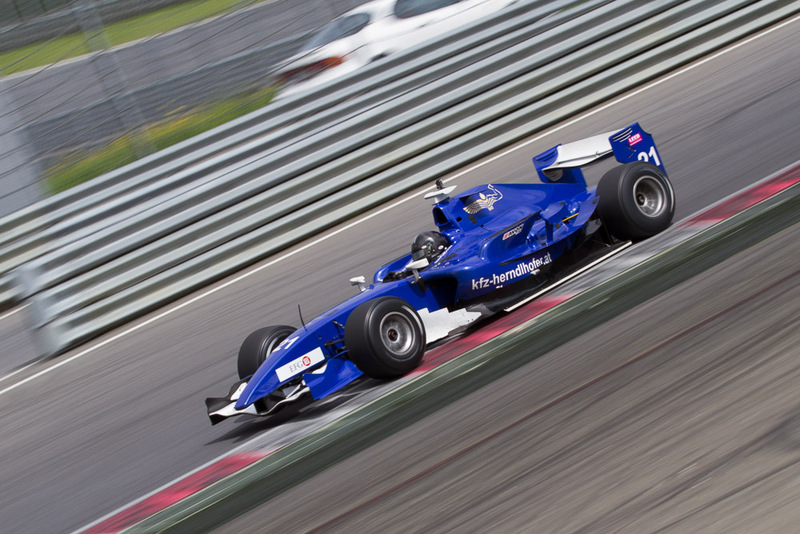 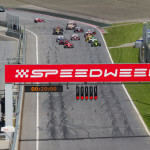 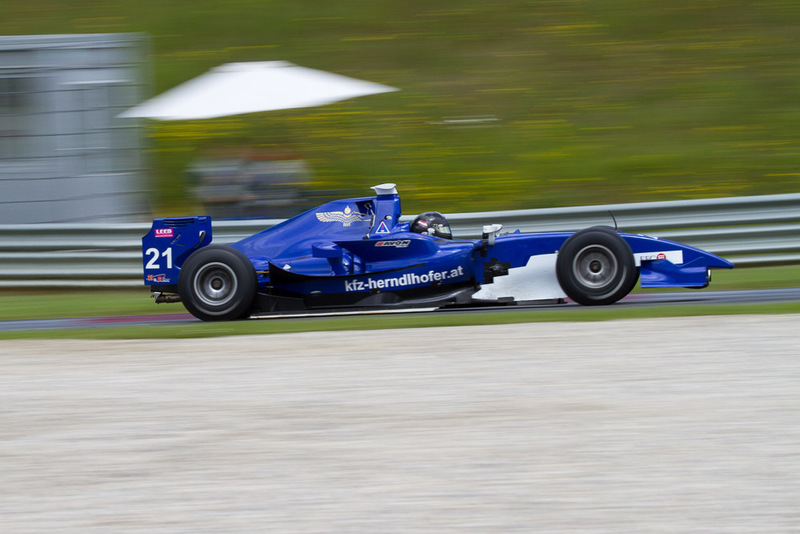 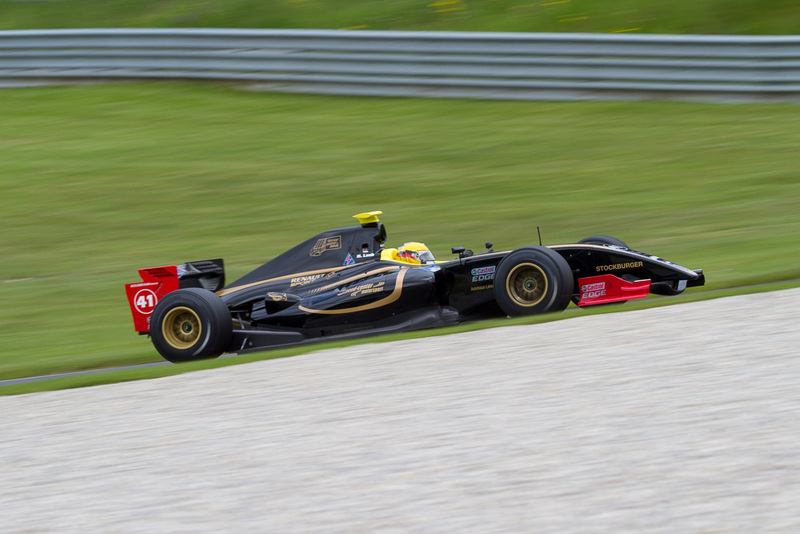 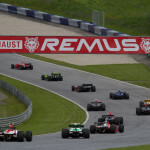 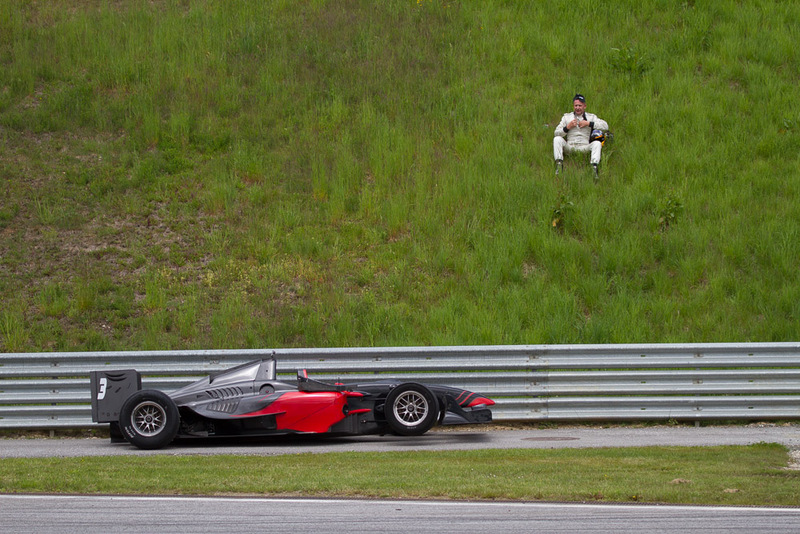 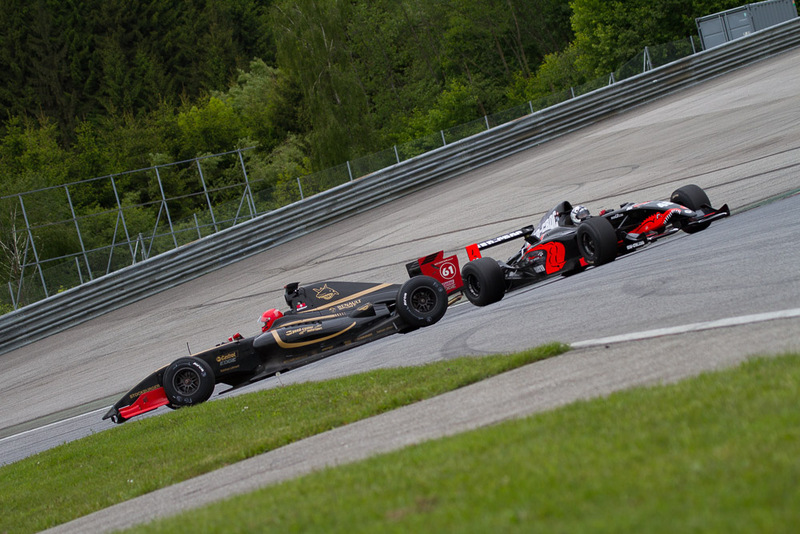 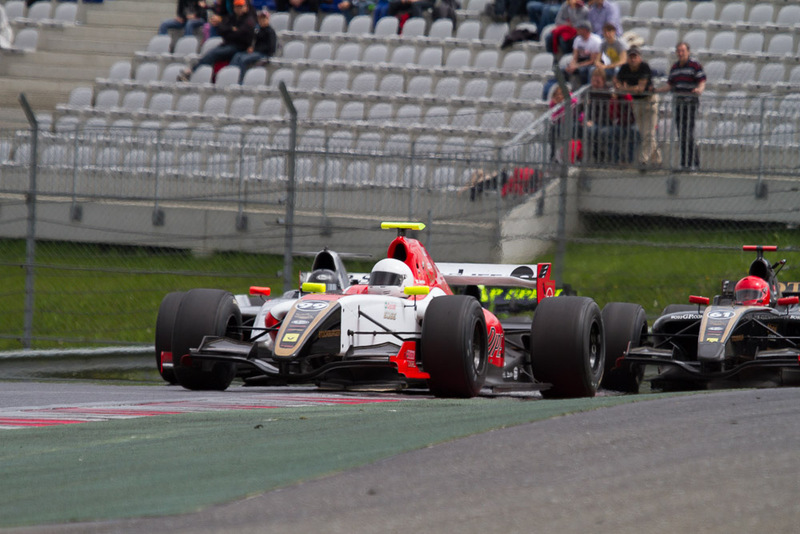 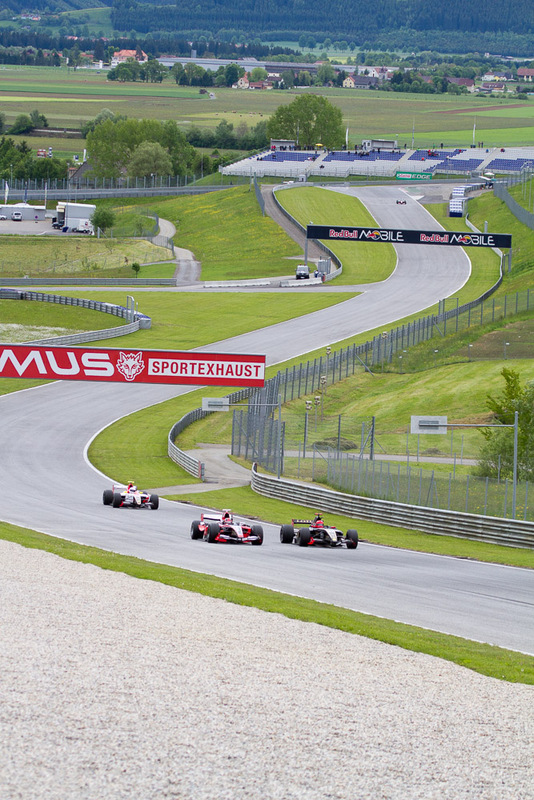 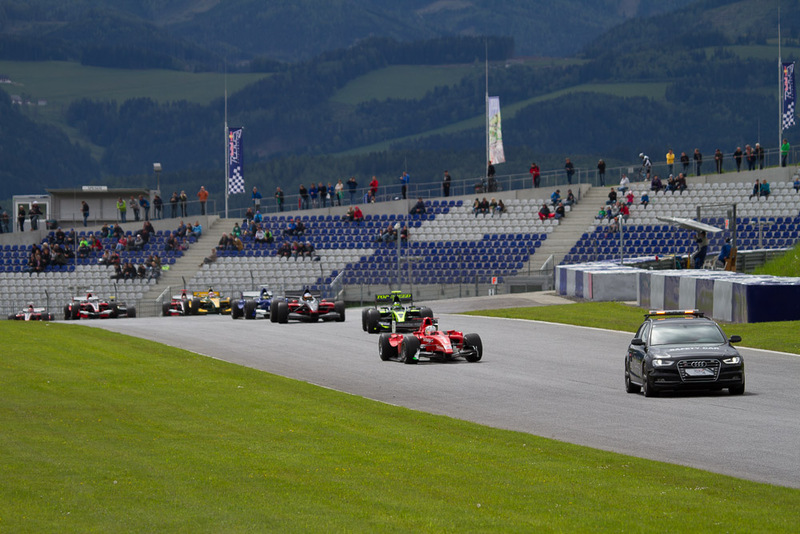 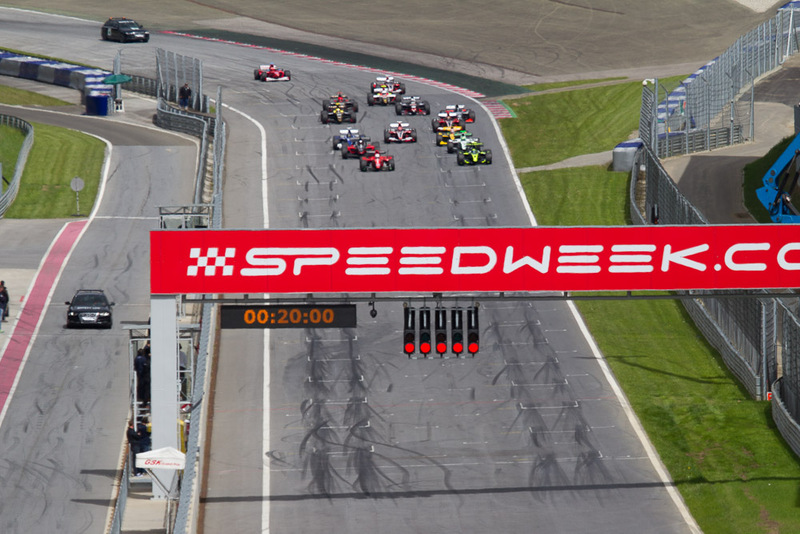 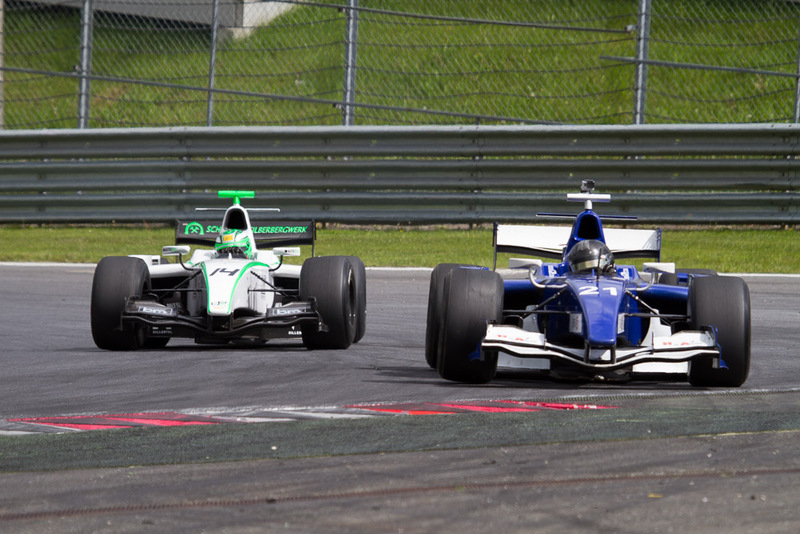 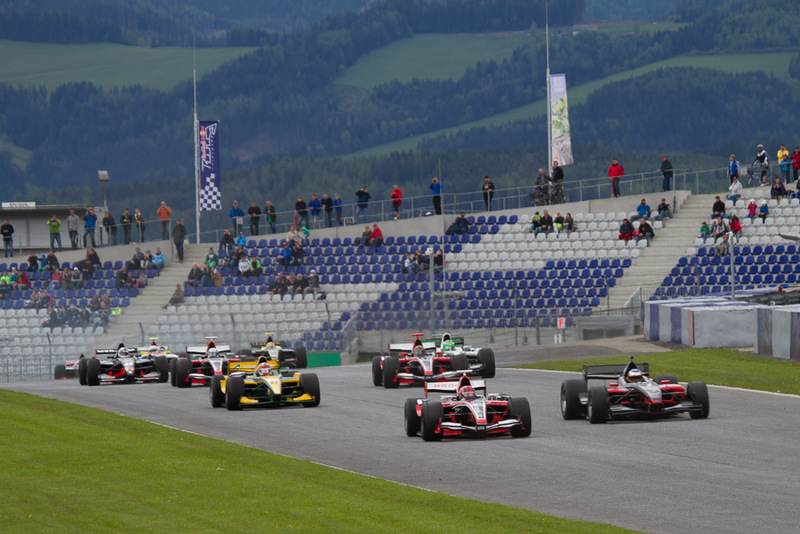 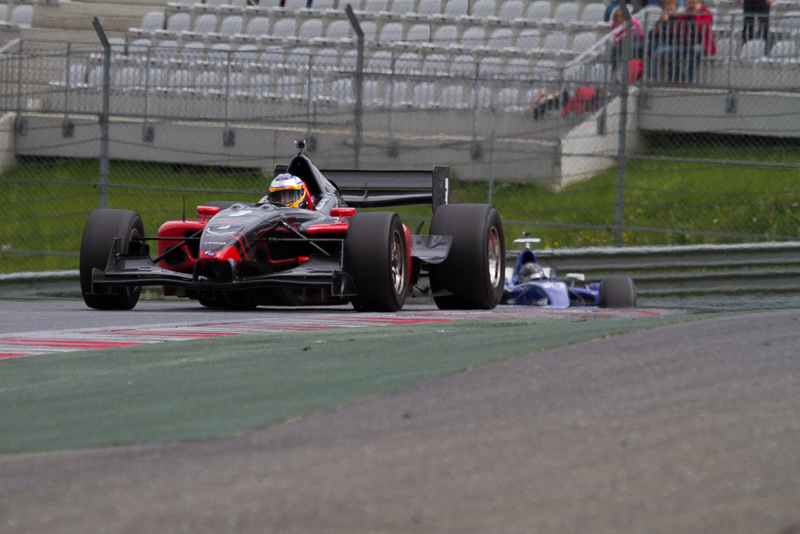 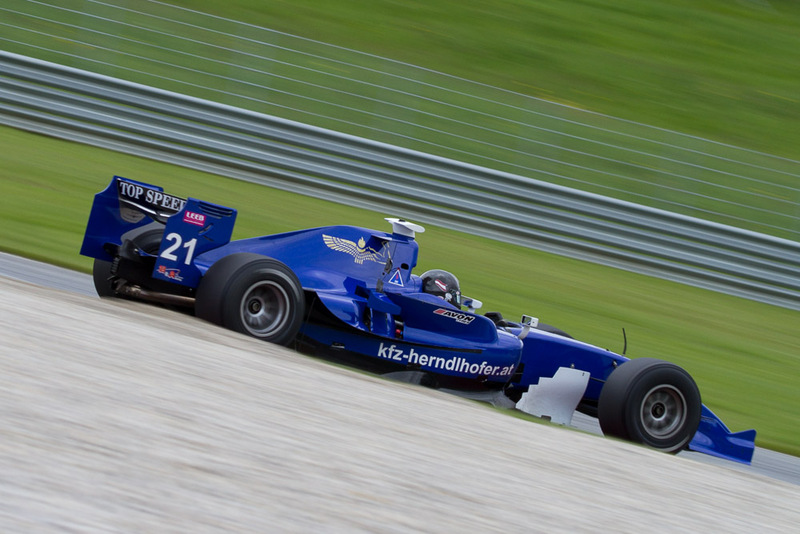 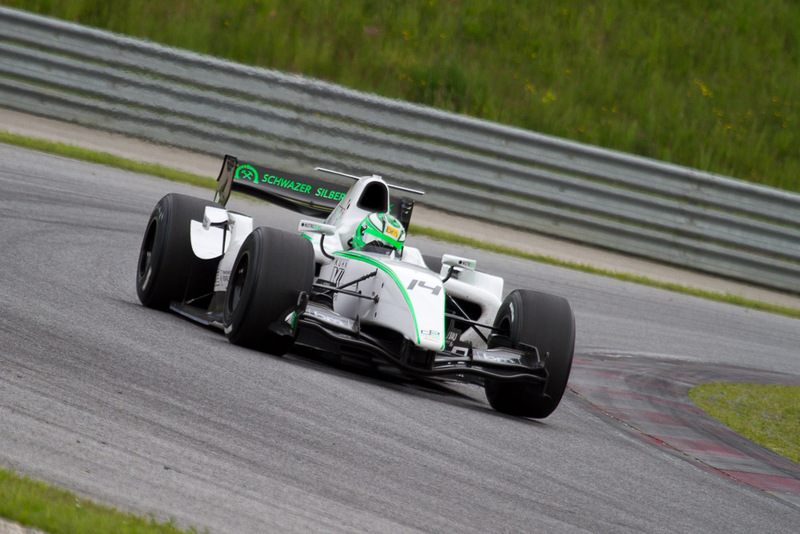 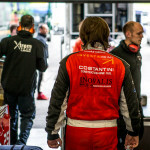 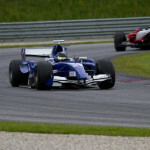 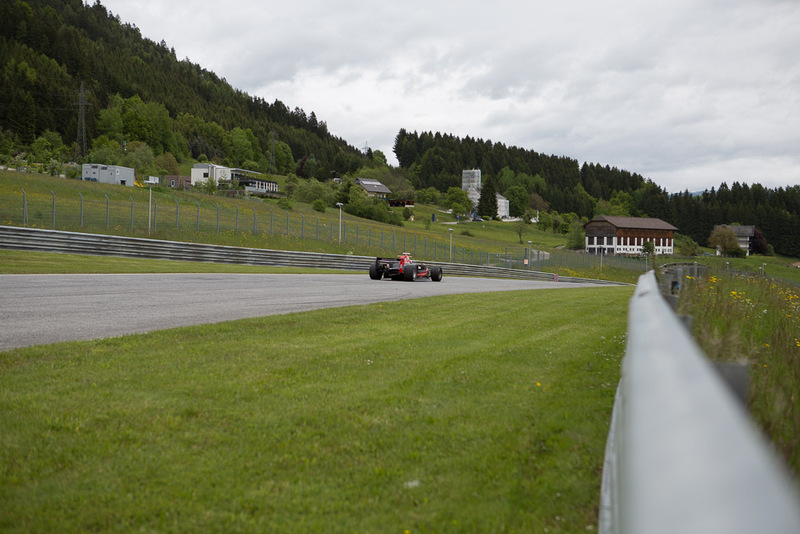 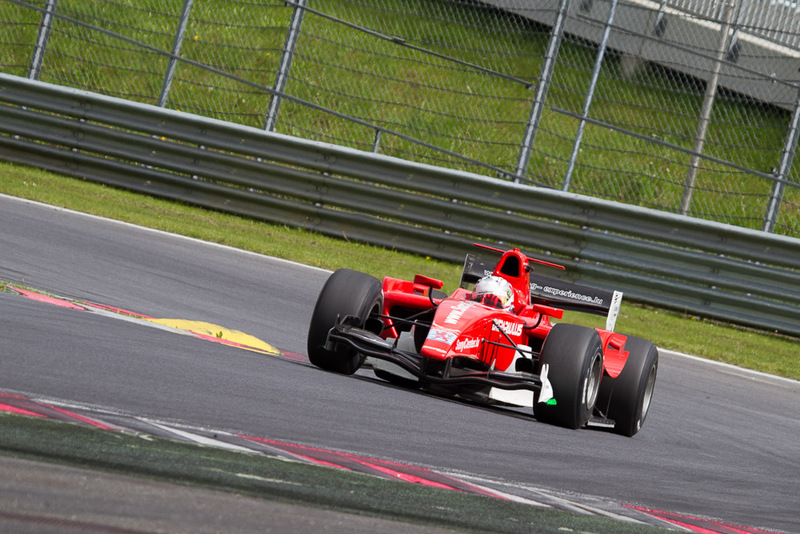 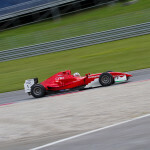 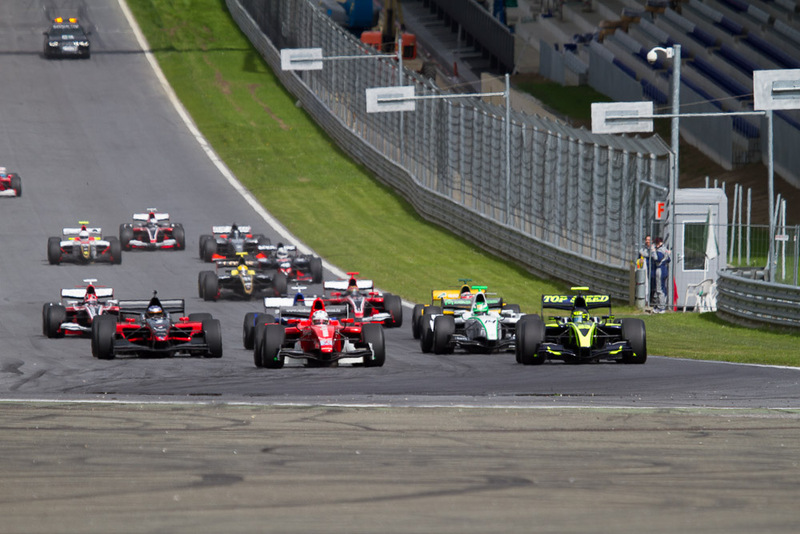 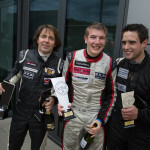 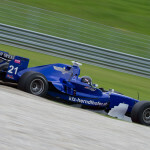 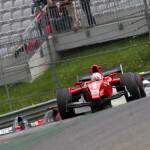 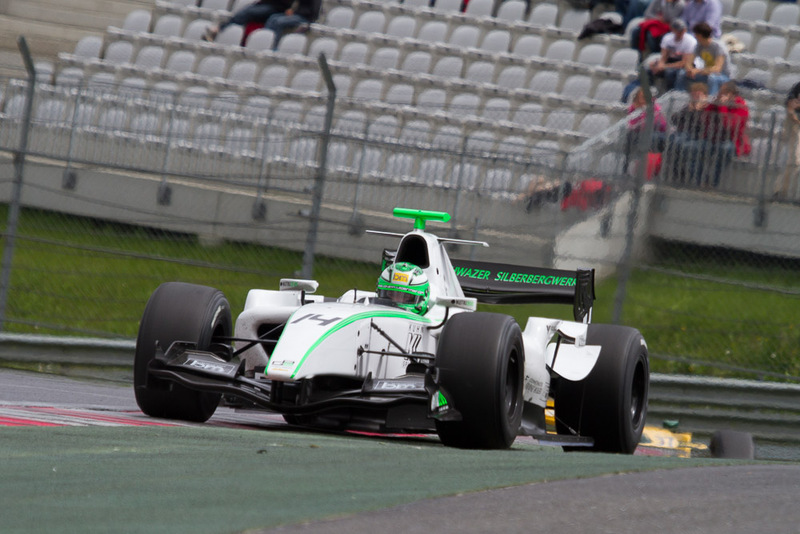 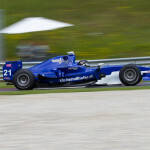 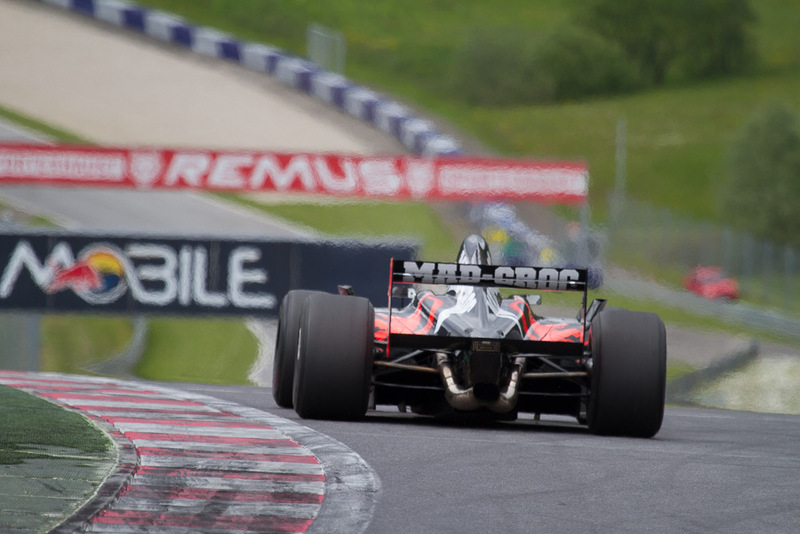 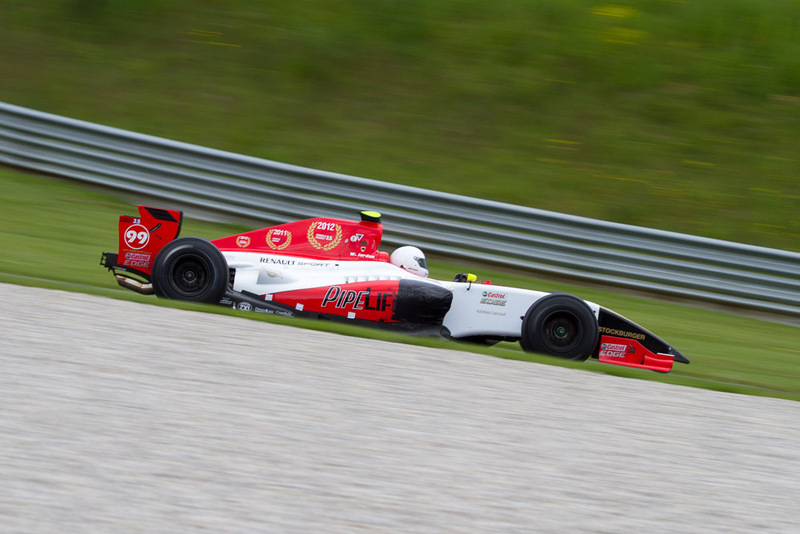 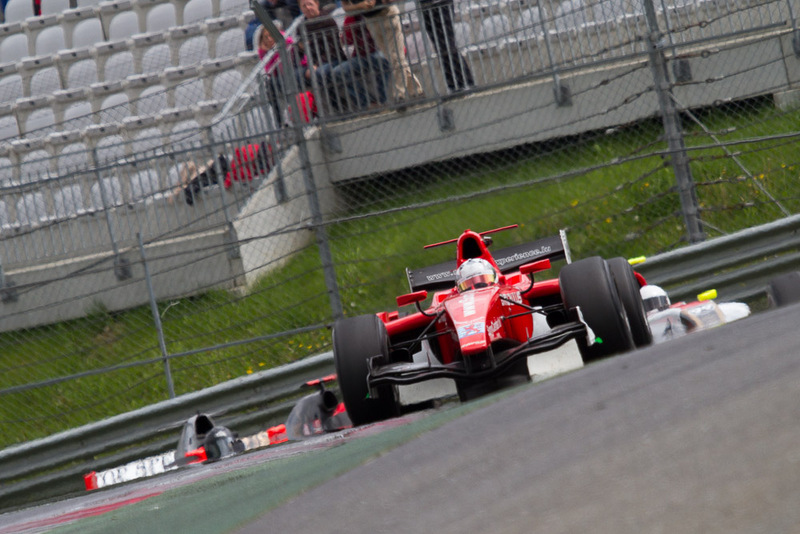 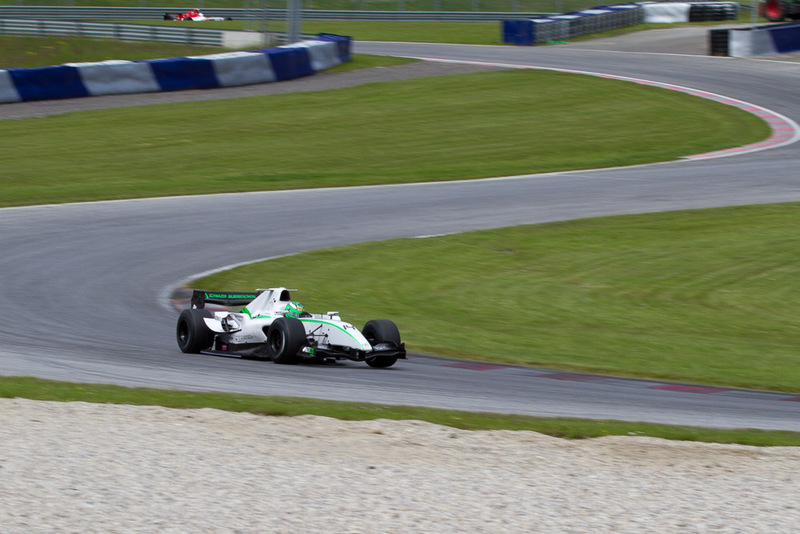 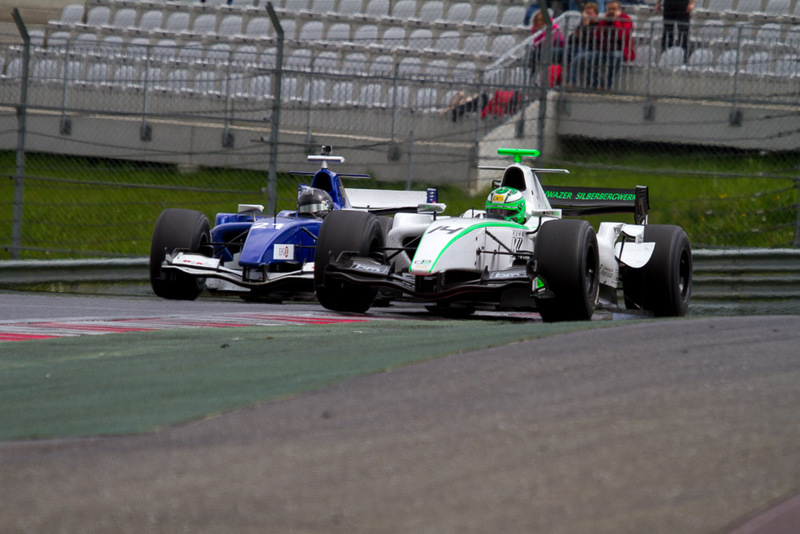 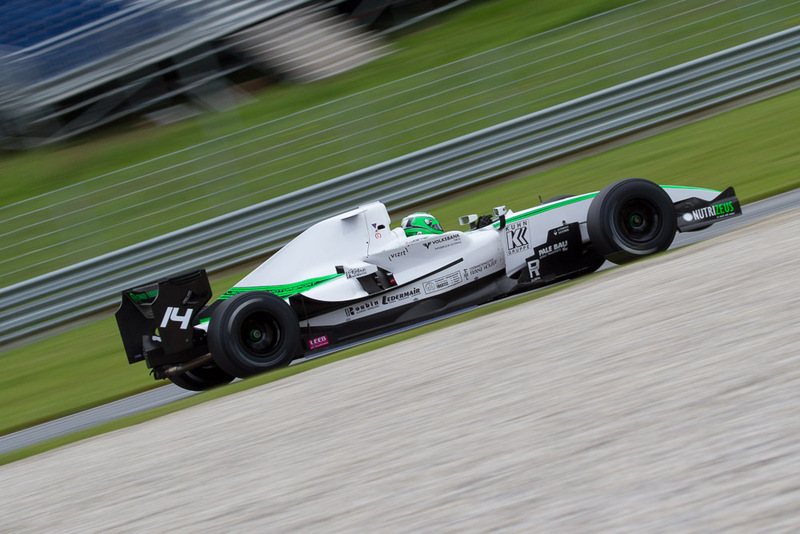 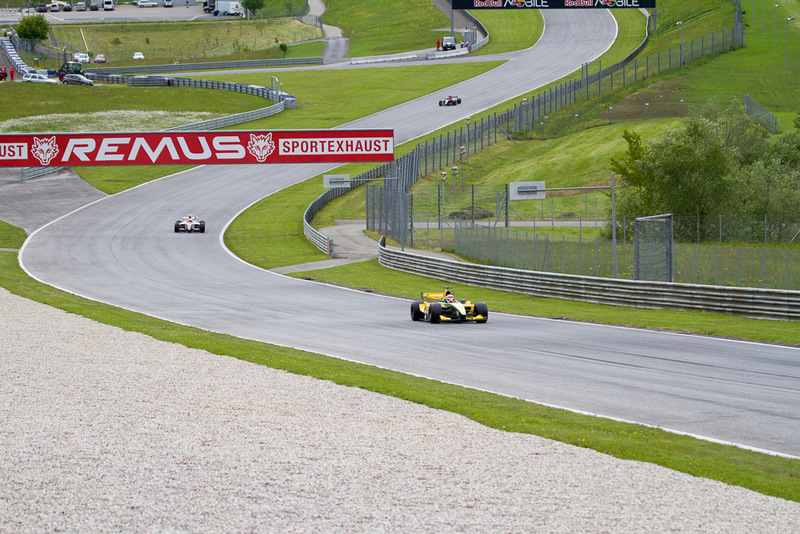 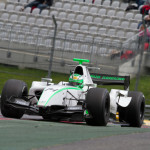 Race two showed a similar picture until three laps before the end, when Gerstl lost control of his car, spun and had to give up the hope for his first victory of the season. 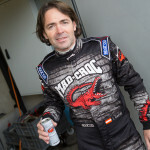 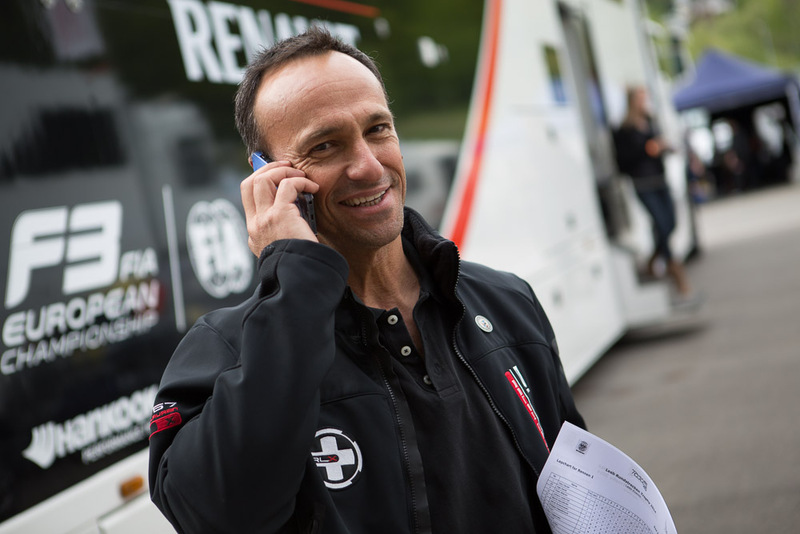 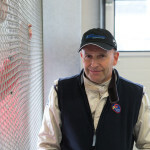 Bernd Herndlhofer saw his chance and took place two (+8.044) behind Gary Hauser on position one and in front of Ingo Gerstl who still finished third (+17.015). 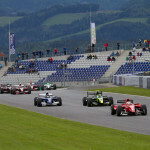 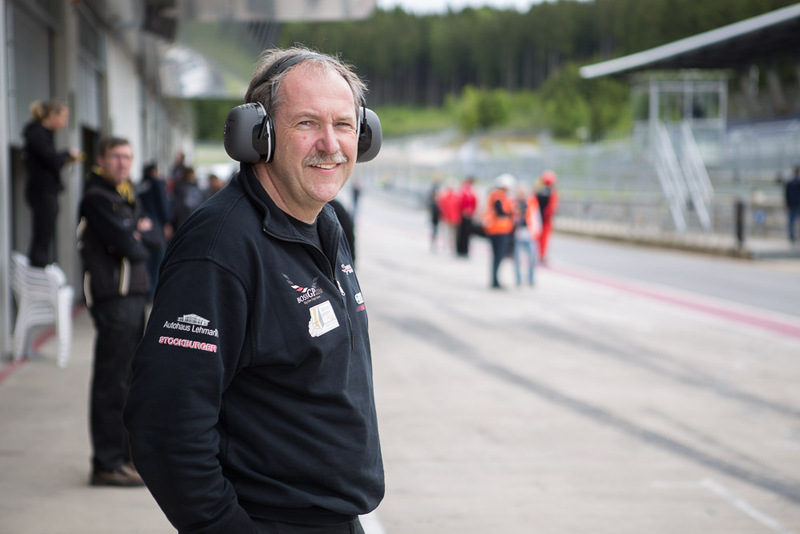 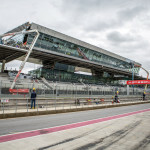 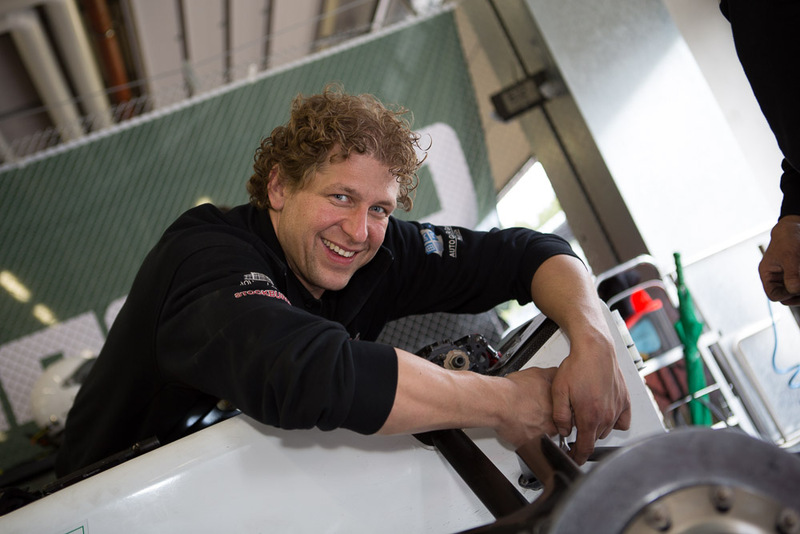 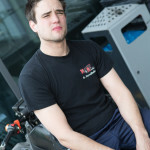 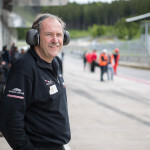 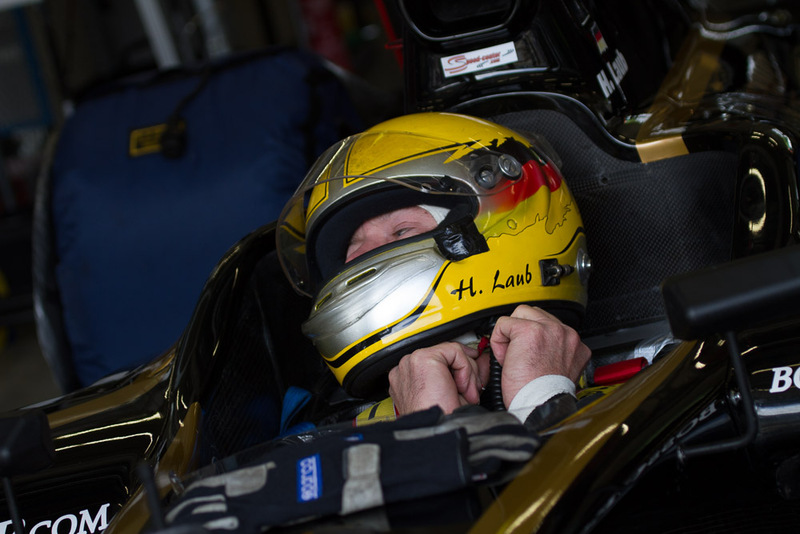 In the MASTERS class Hans Laub was able to expand his lead over Karl Heinz Becker, who was not able to participate after an engine failure in the free practice. 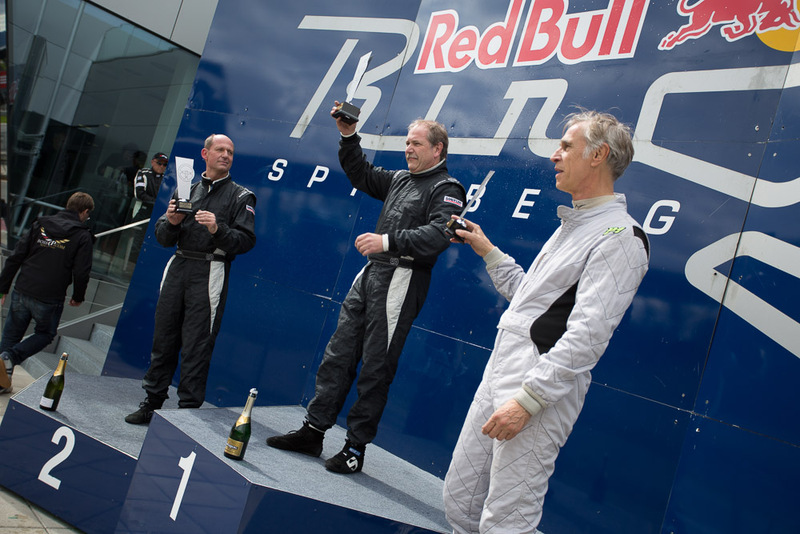 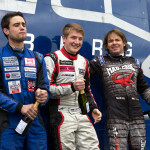 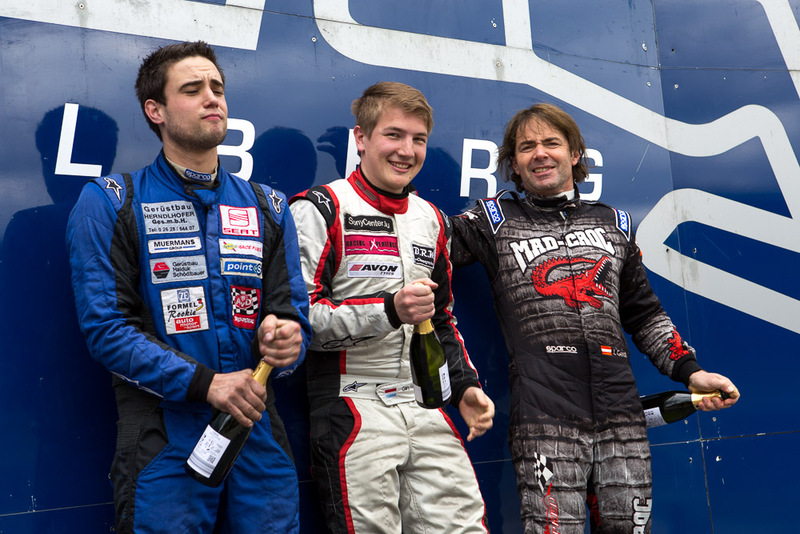 A special congratulation goes to Walter Steding who secured the third place in race one, behind Hans Laub and Peter Göllner and even won his first BOSS GP race (race two) in the MASTERS class in front of Hans Laub and Armando Mangini. 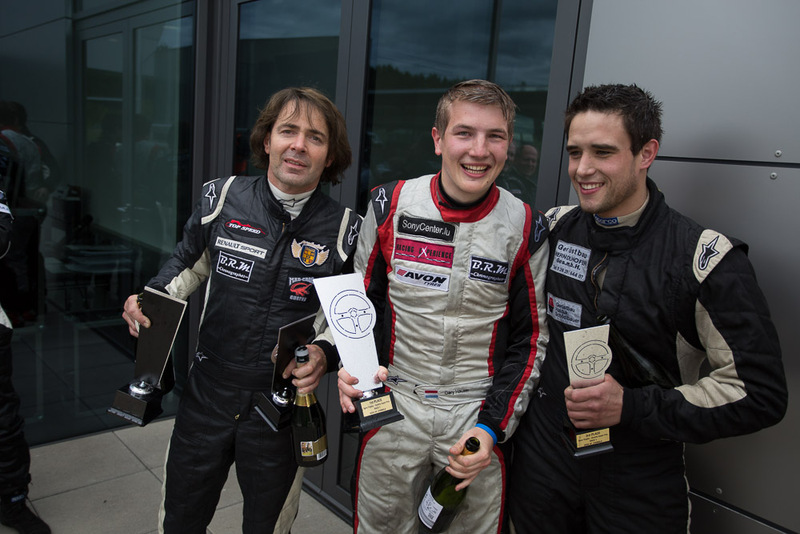 Armando Mangini also won both extra trophies for the best MASTERS class 3.0l pilot at this weekend. 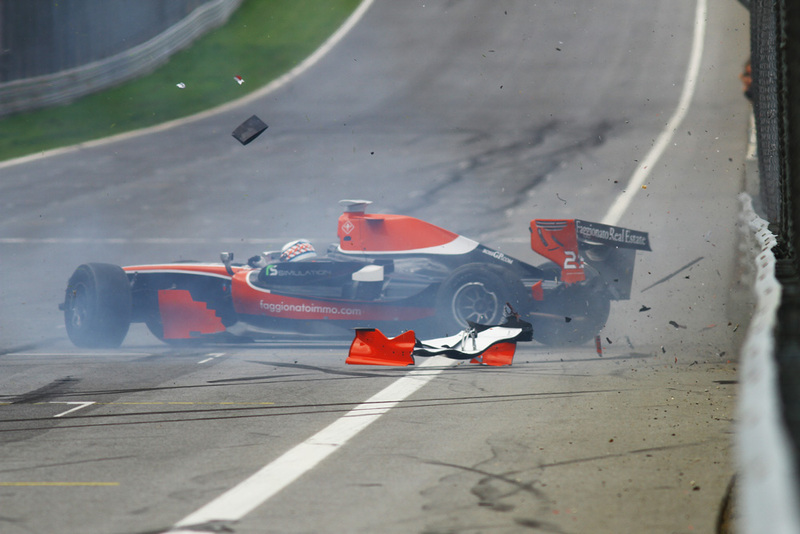 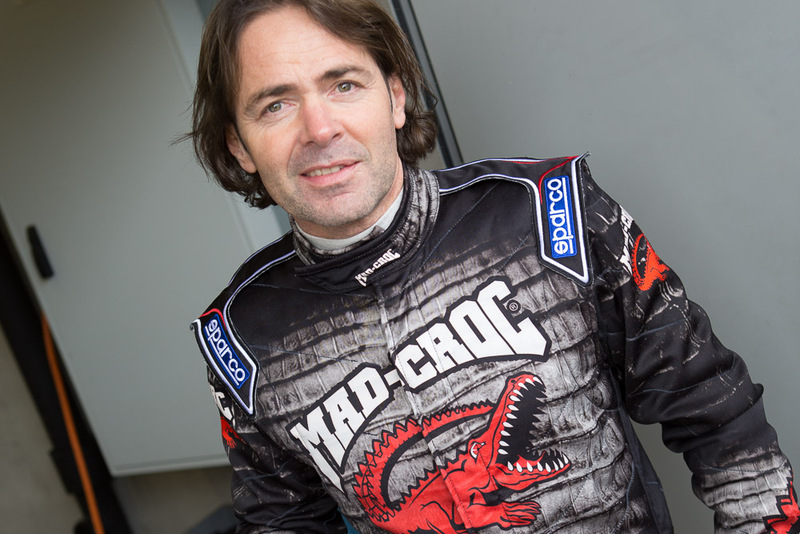 Team Signature driver Marc Faggionato caused a moment of shock in the last lap of race two when crashed hard into a barricade only metres before the finish line, but luckily he was not harmed in this accident. 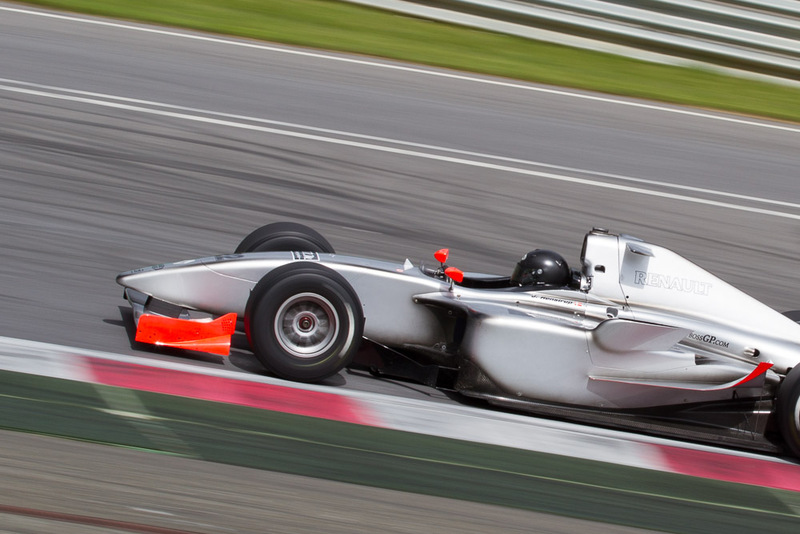 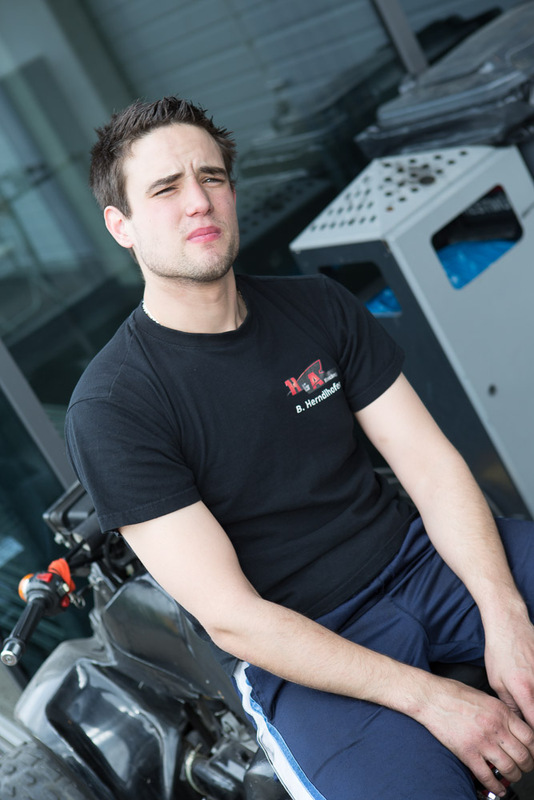 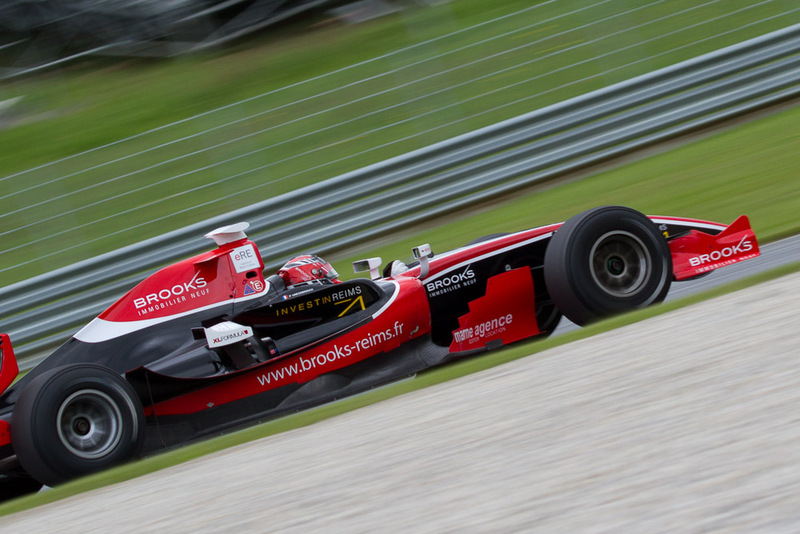 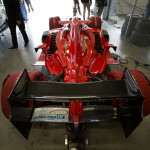 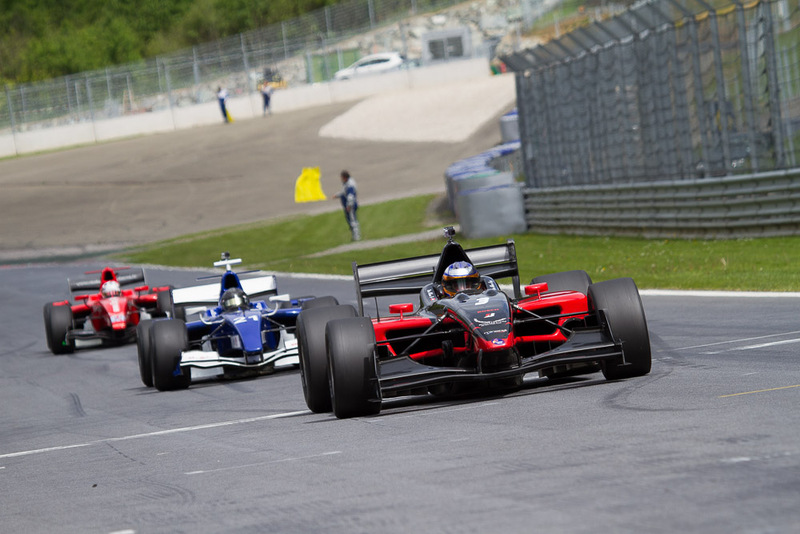 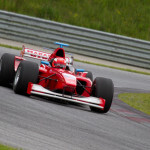 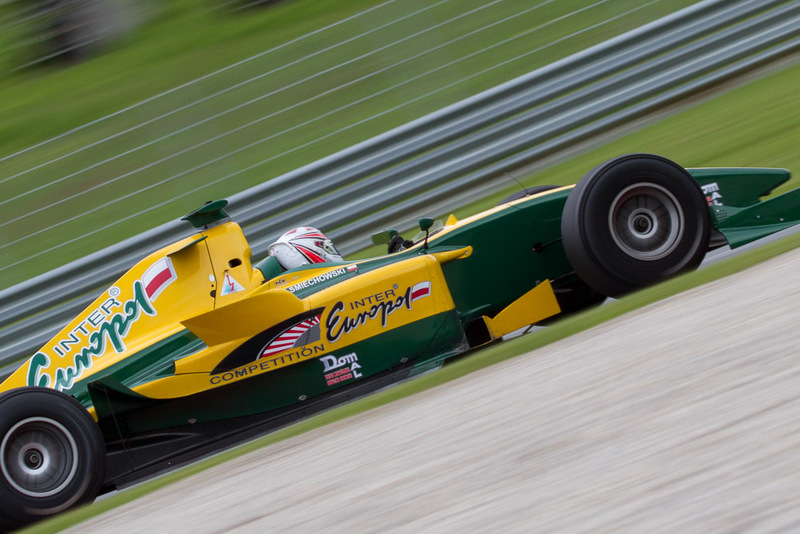 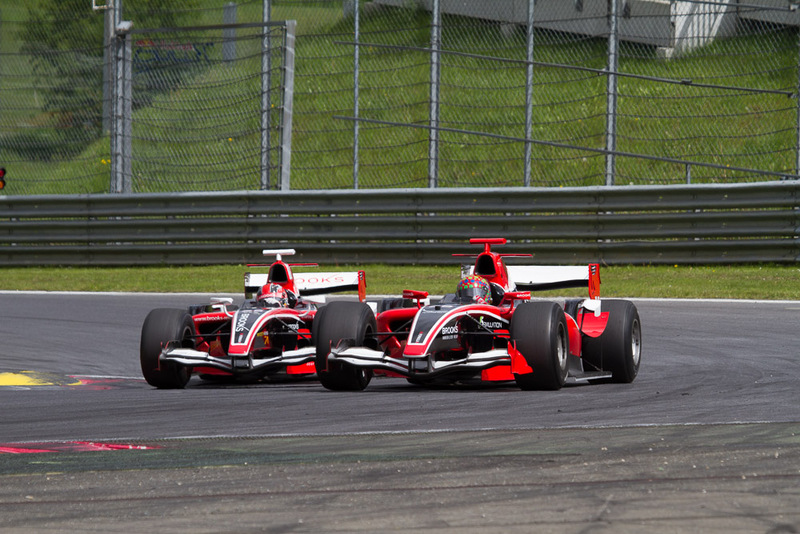 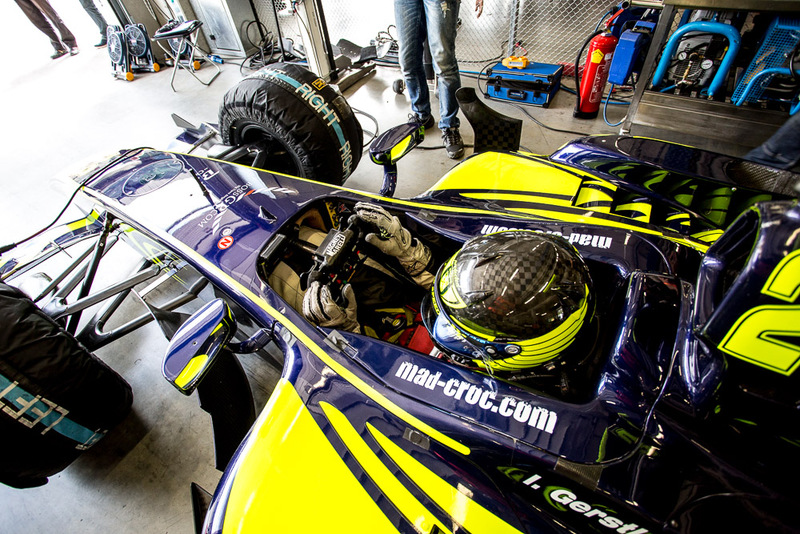 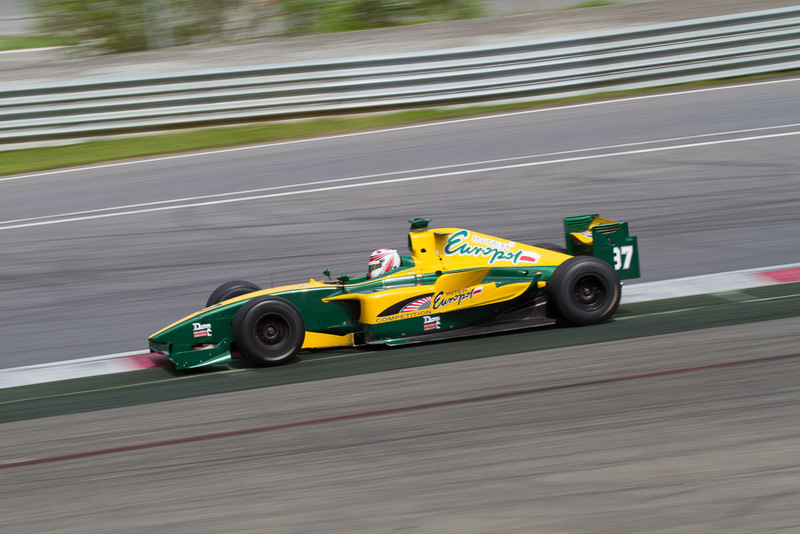 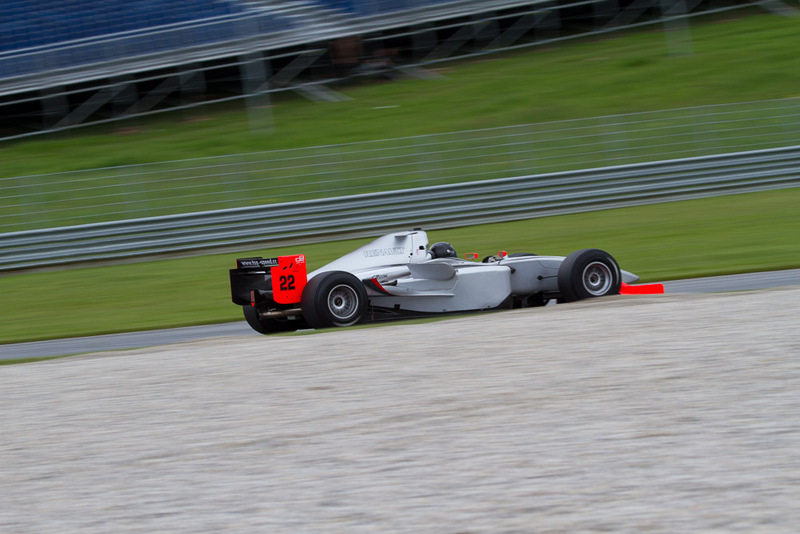 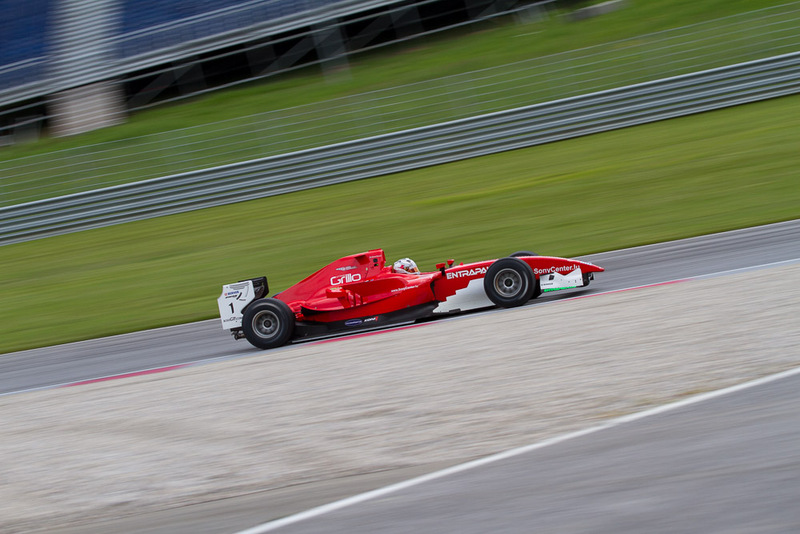 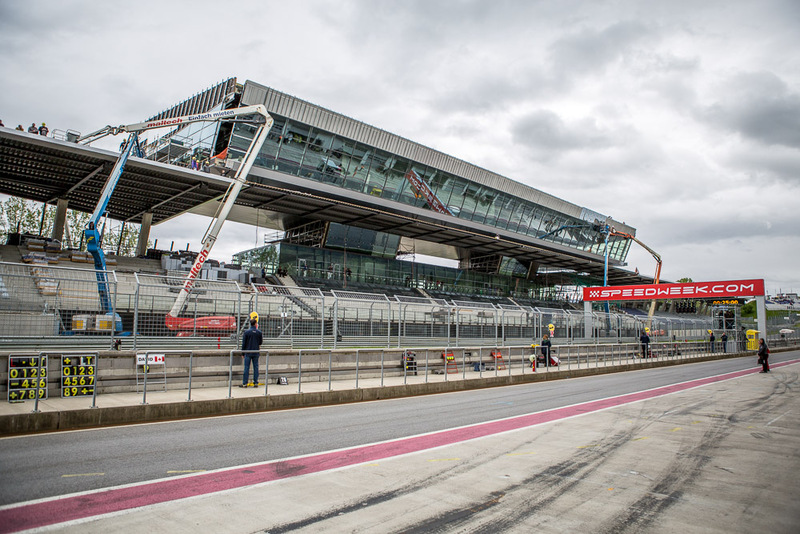 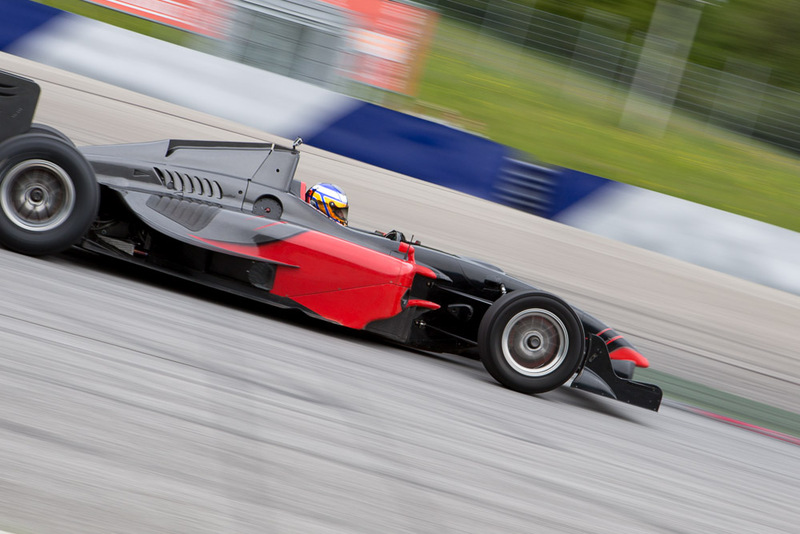 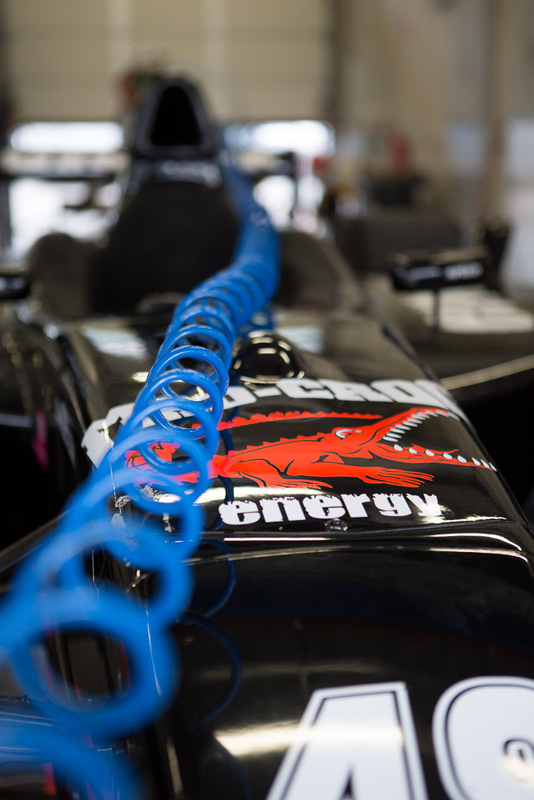 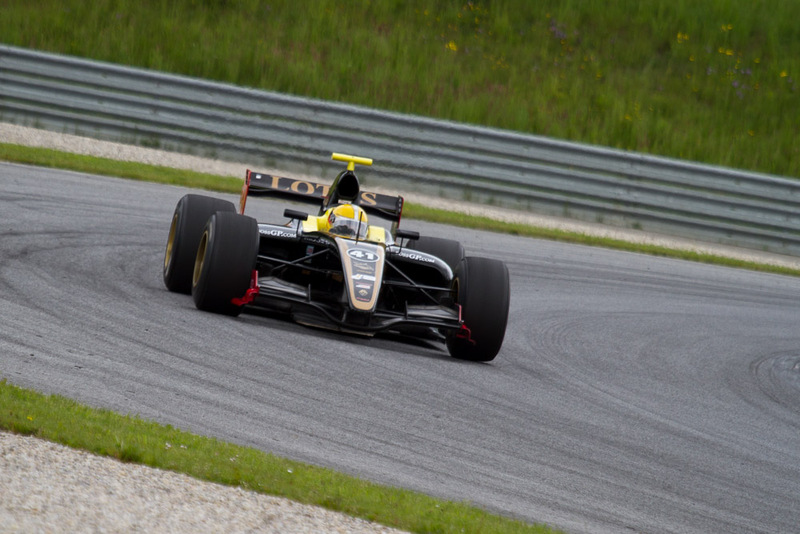 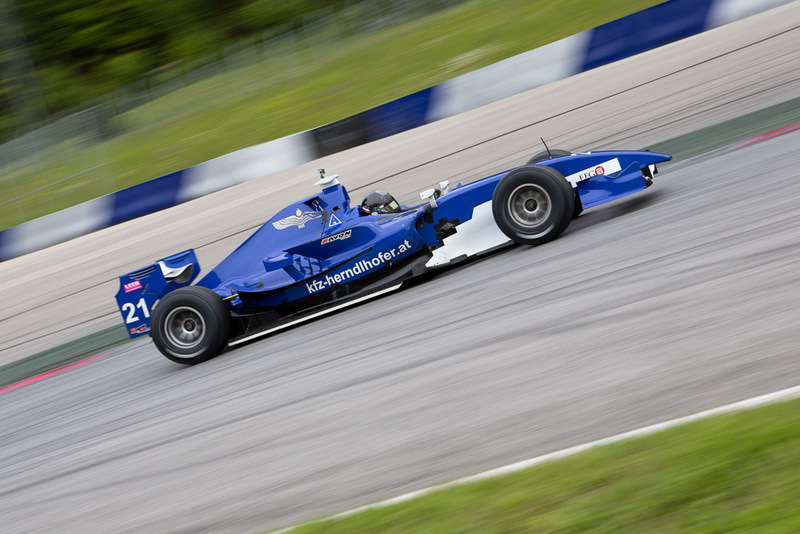 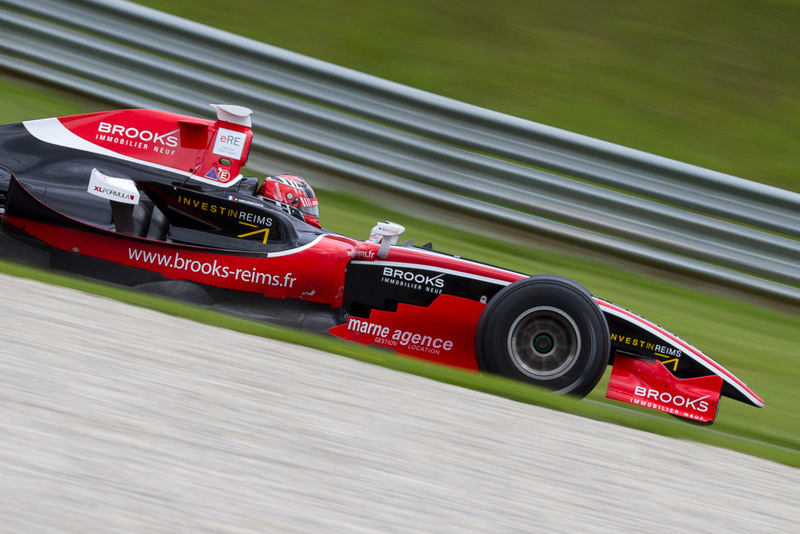 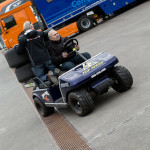 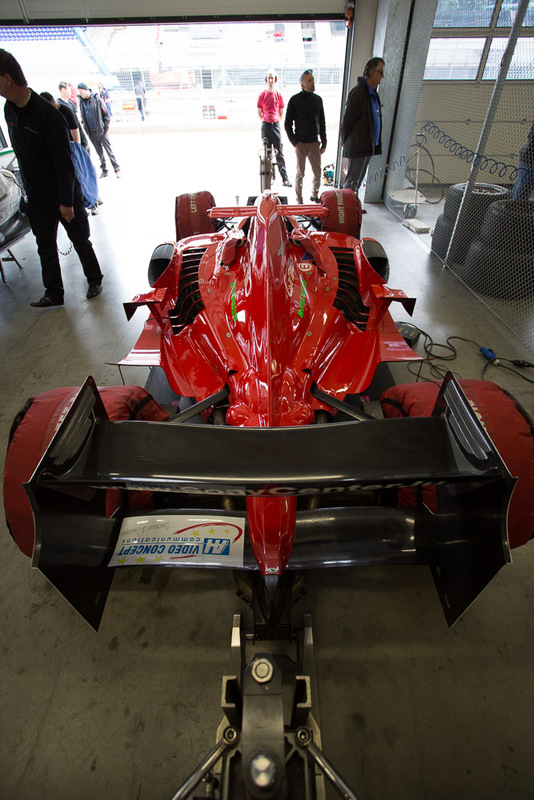 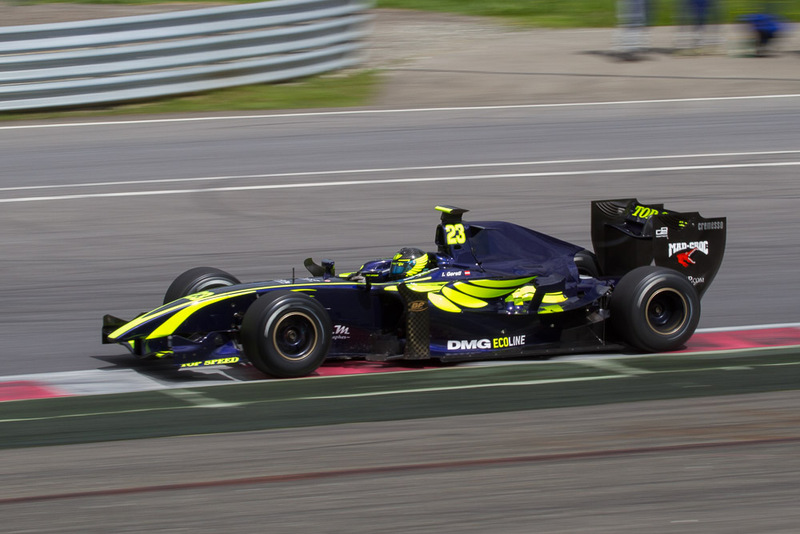 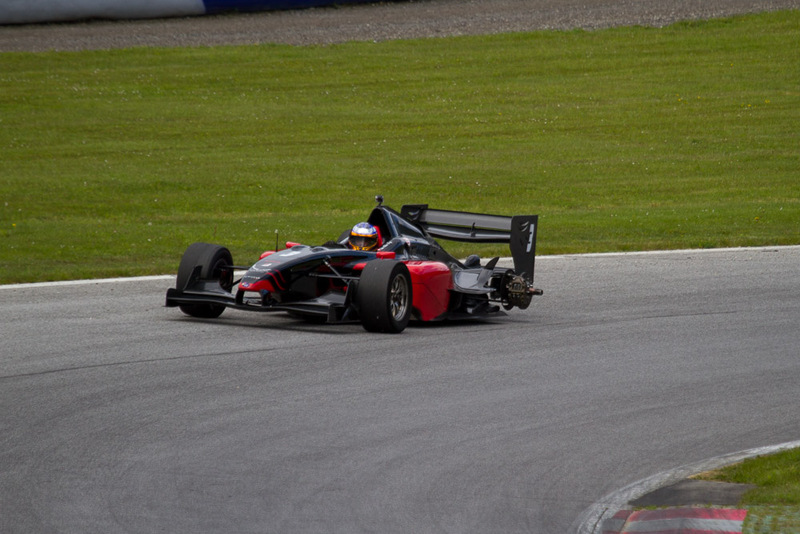 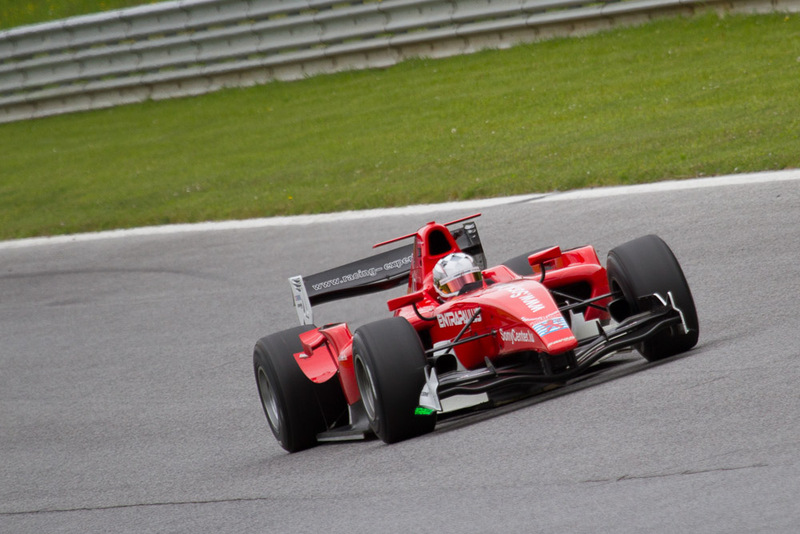 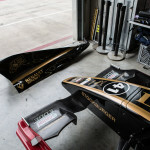 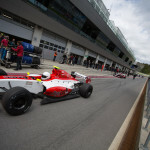 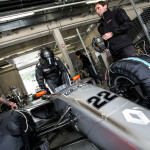 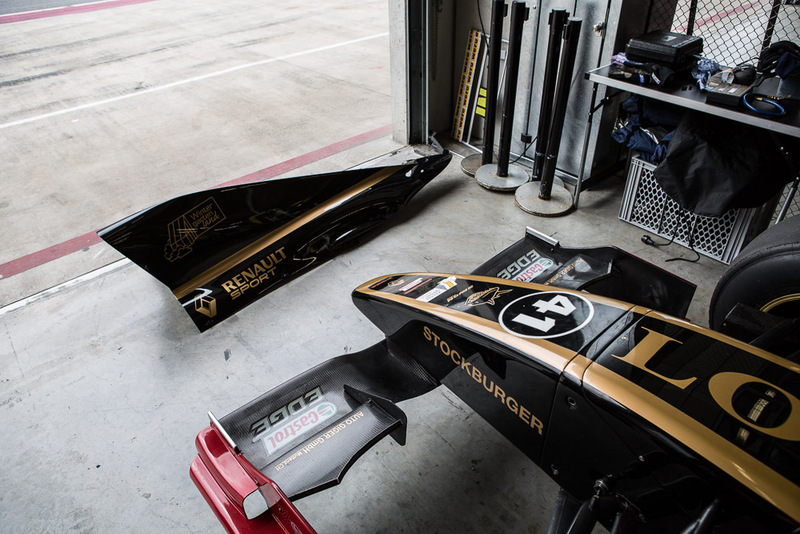 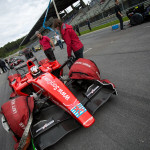 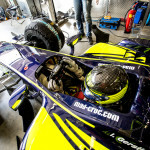 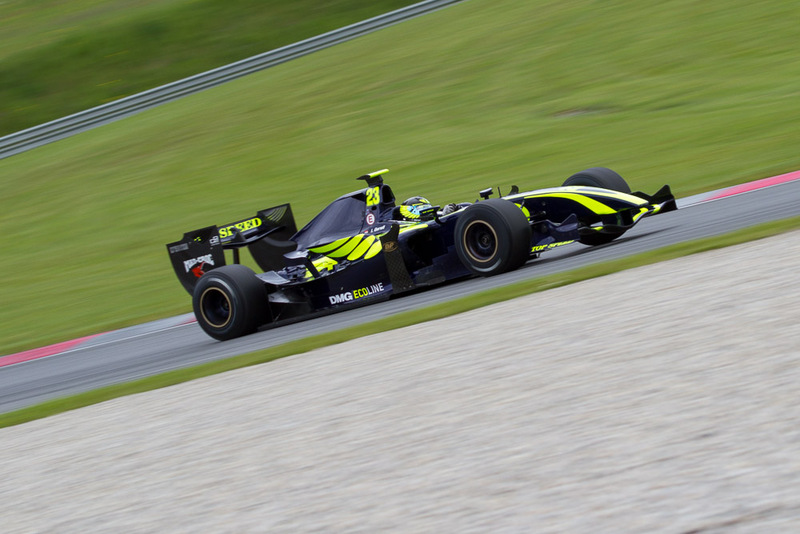 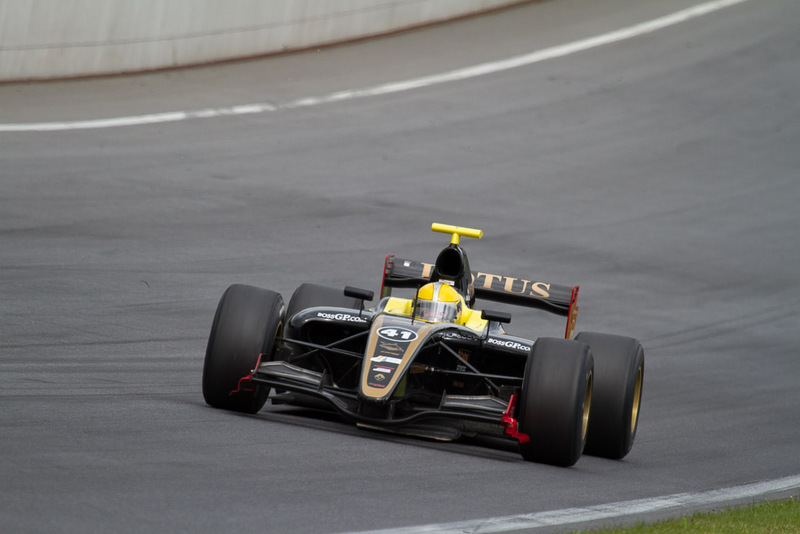 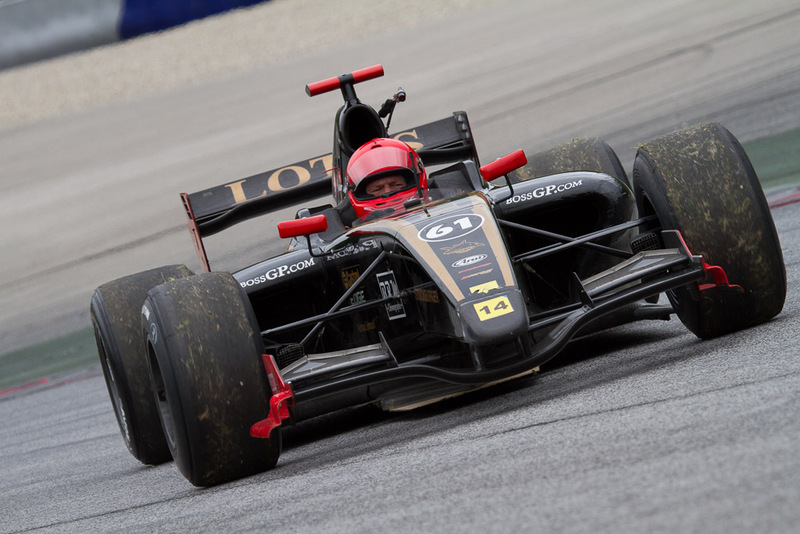 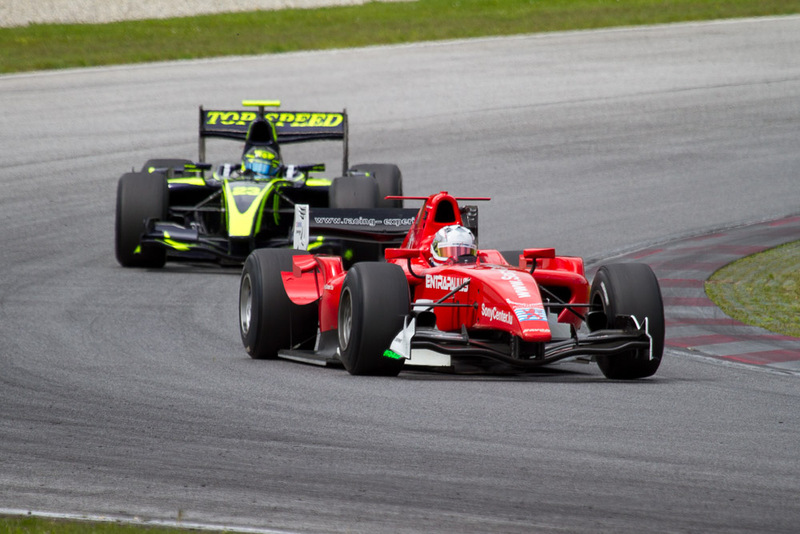 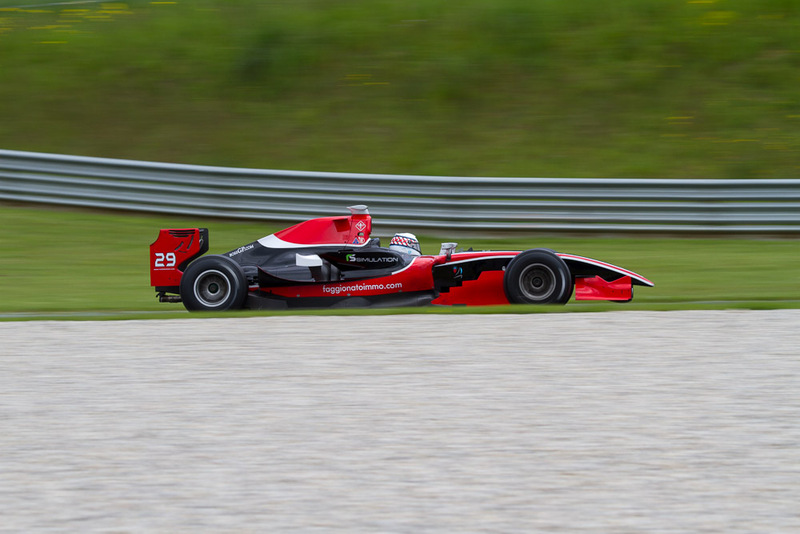 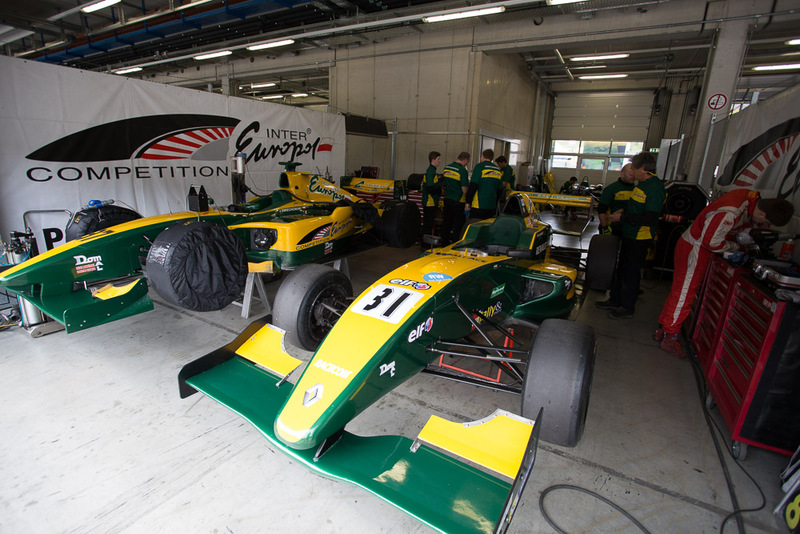 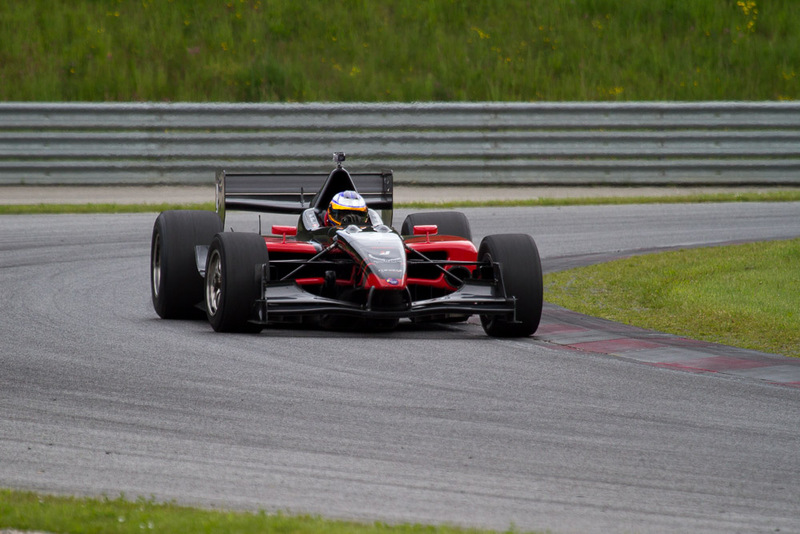 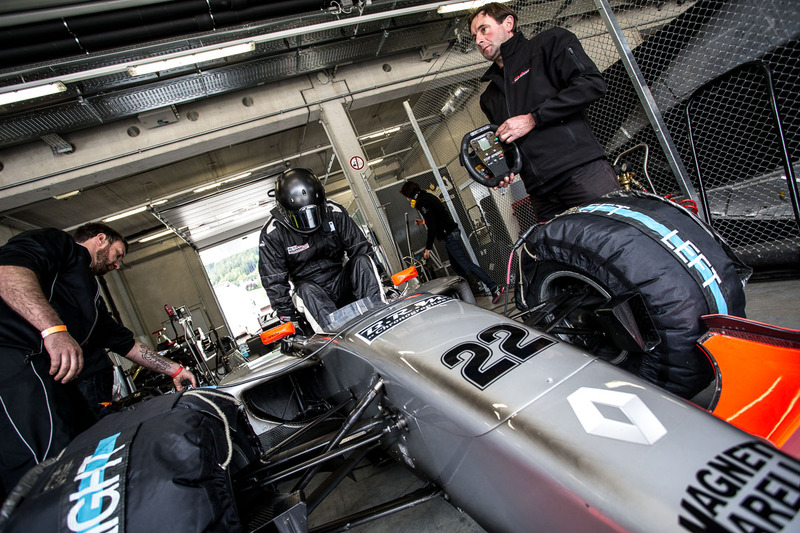 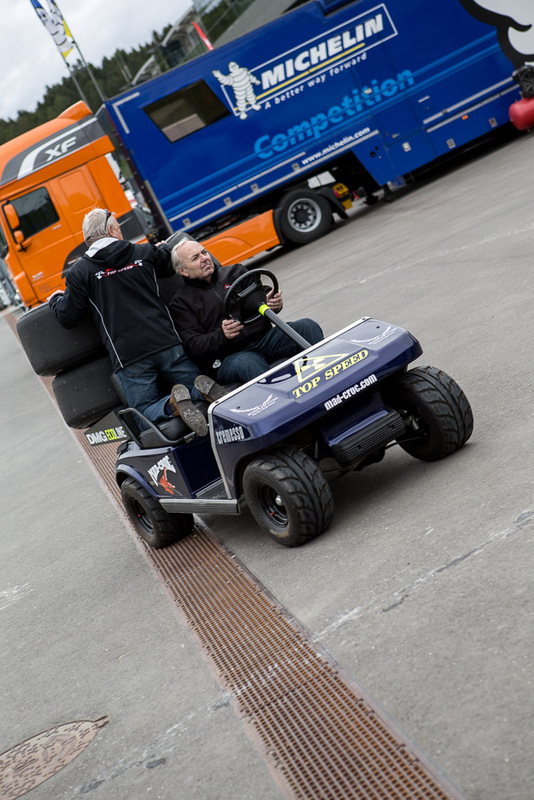 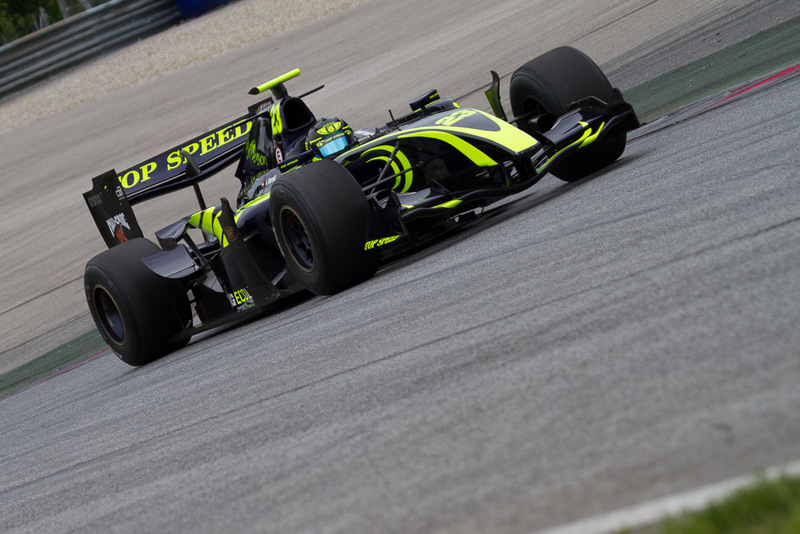 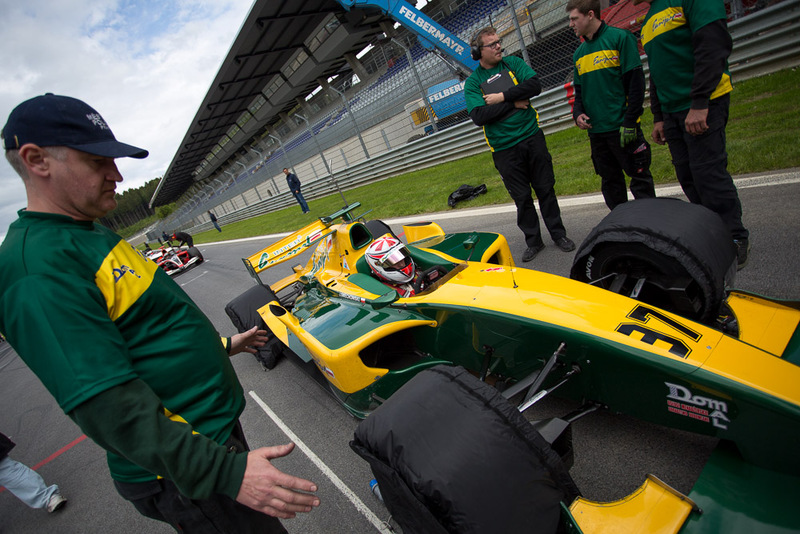 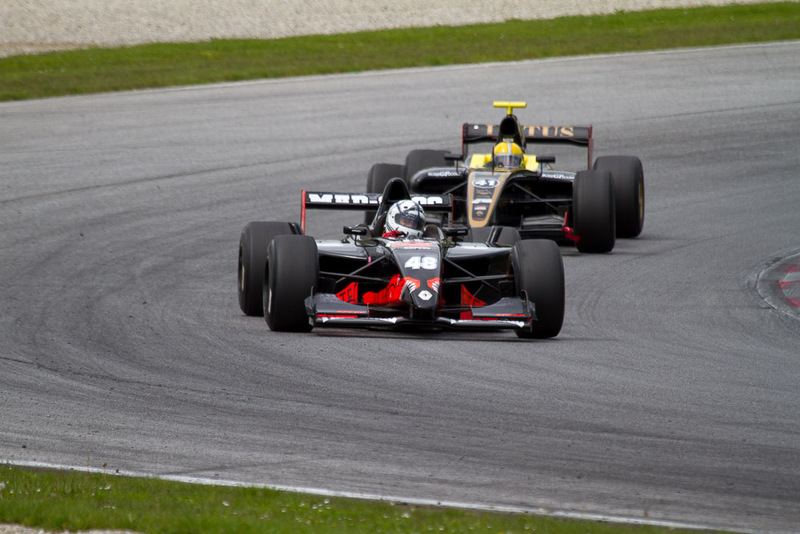 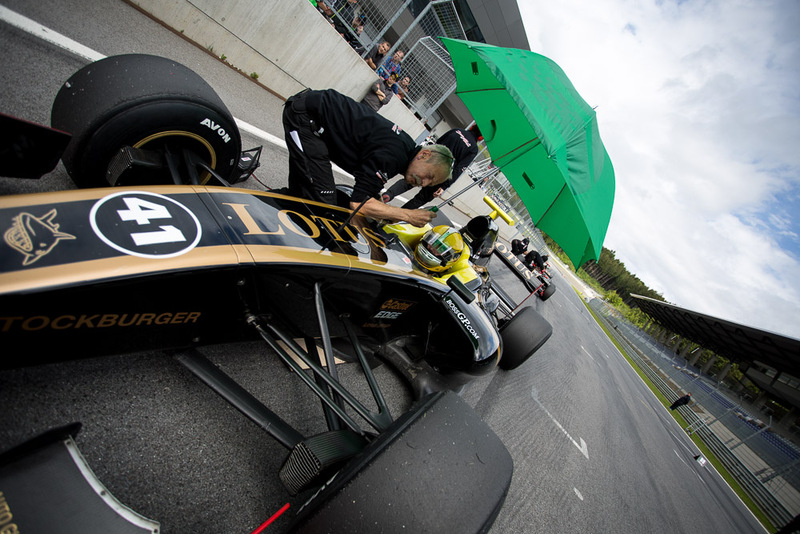 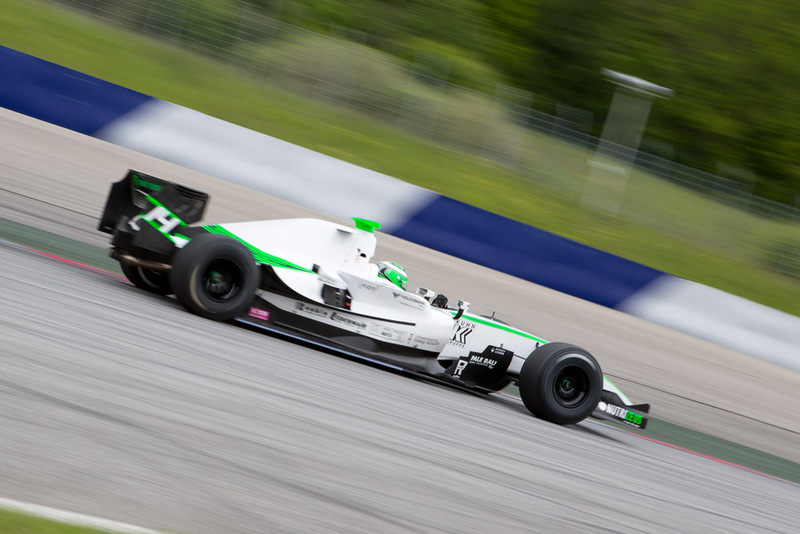 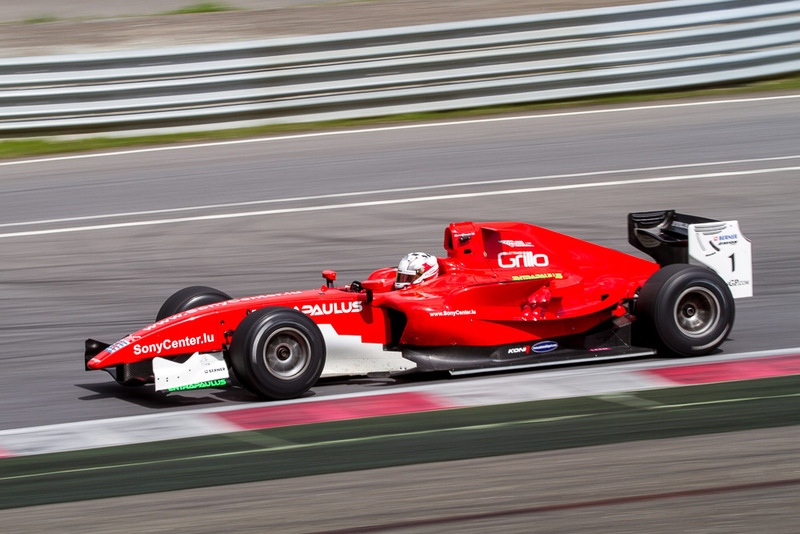 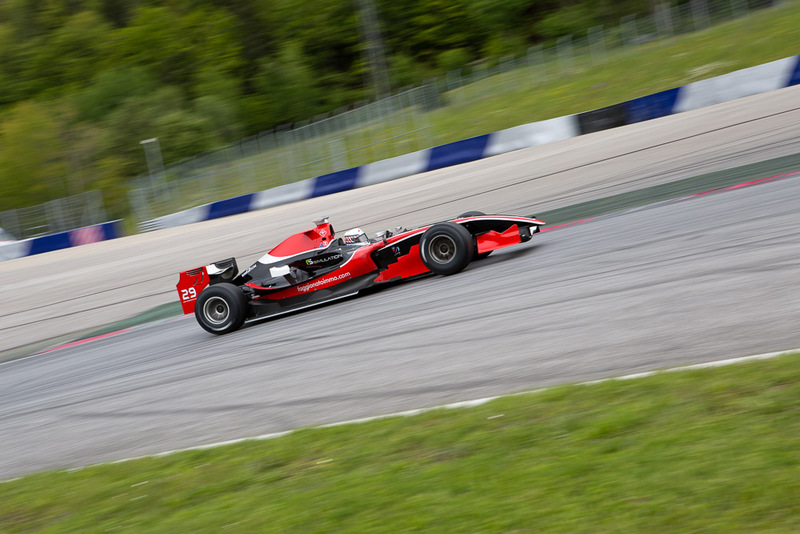 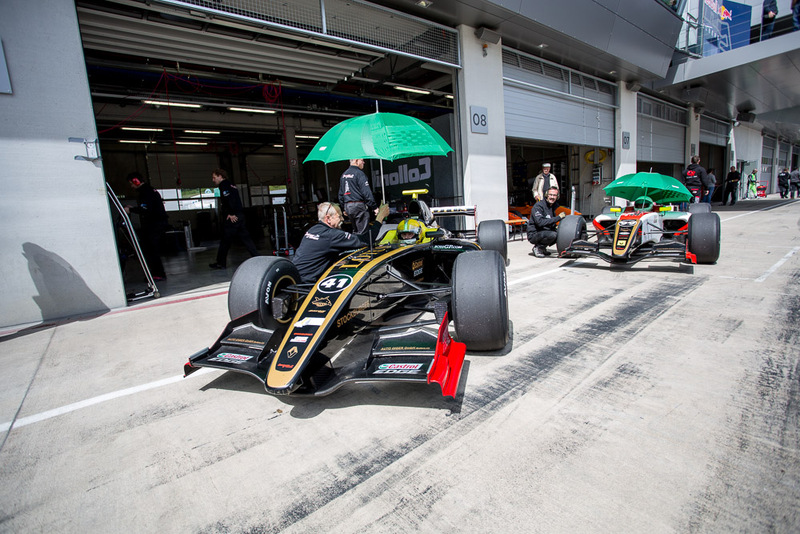 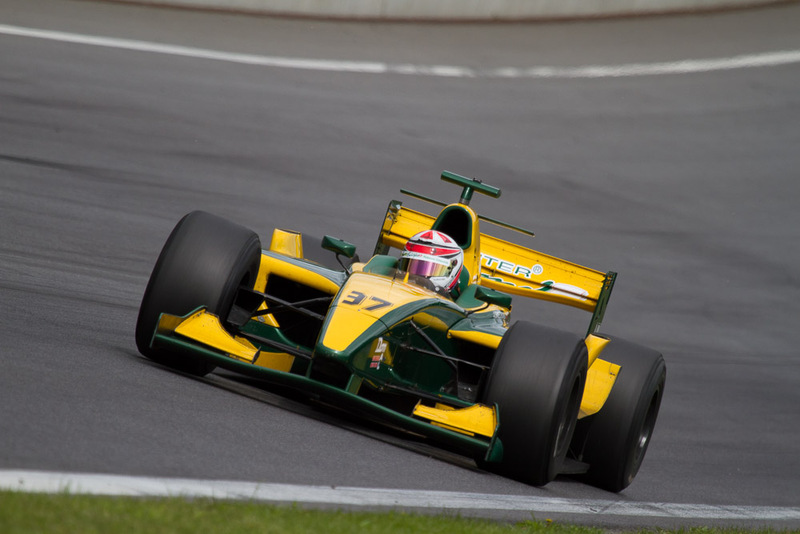 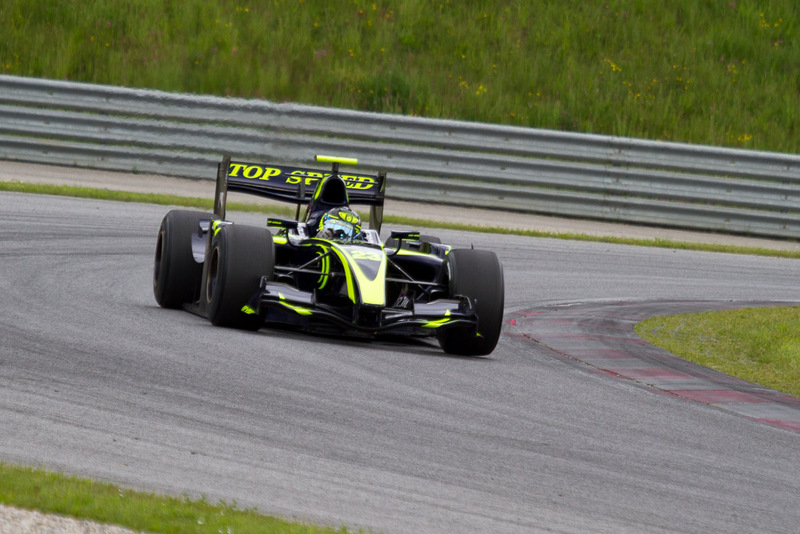 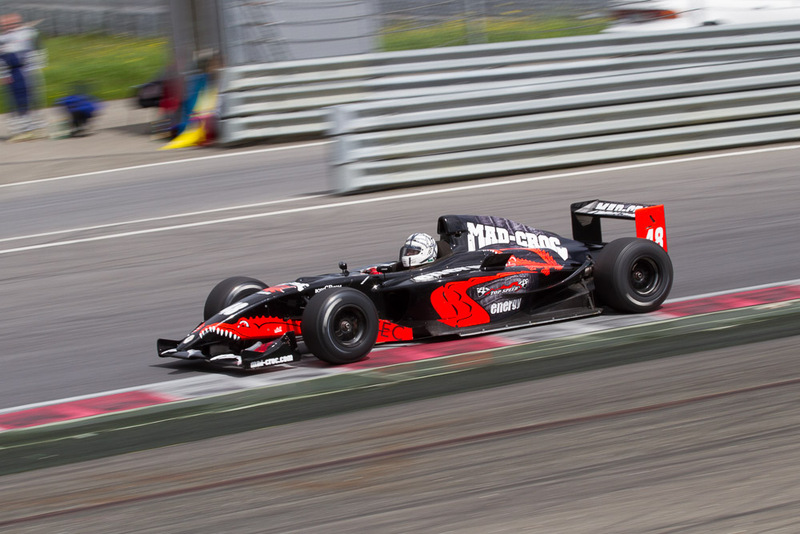 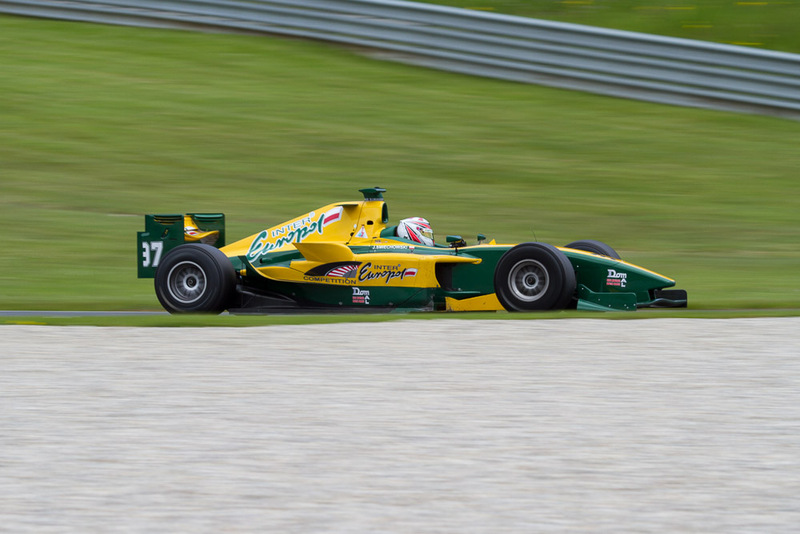 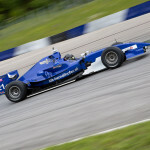 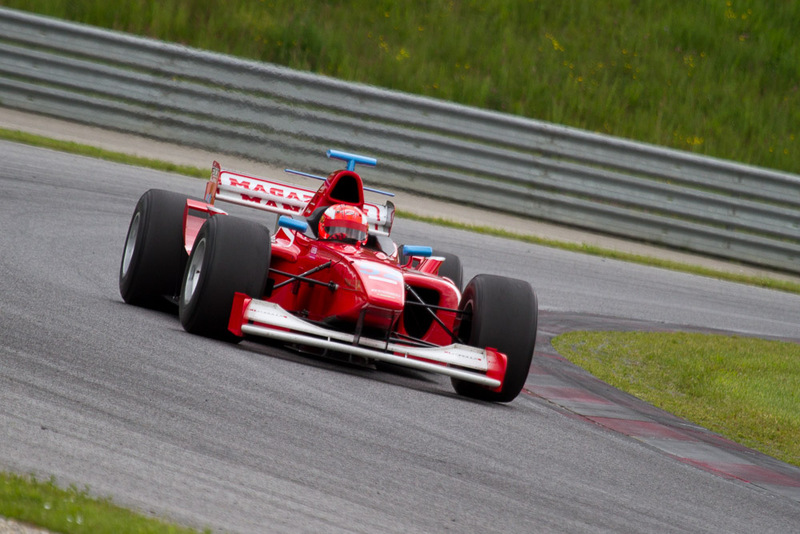 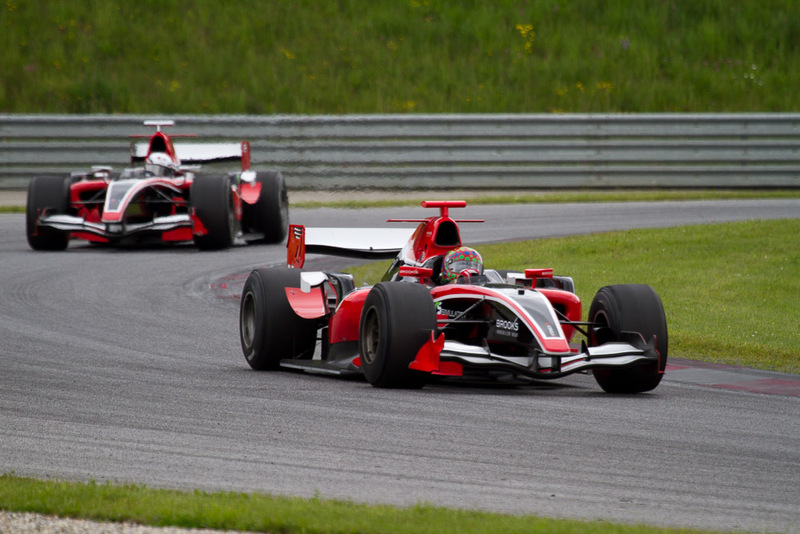 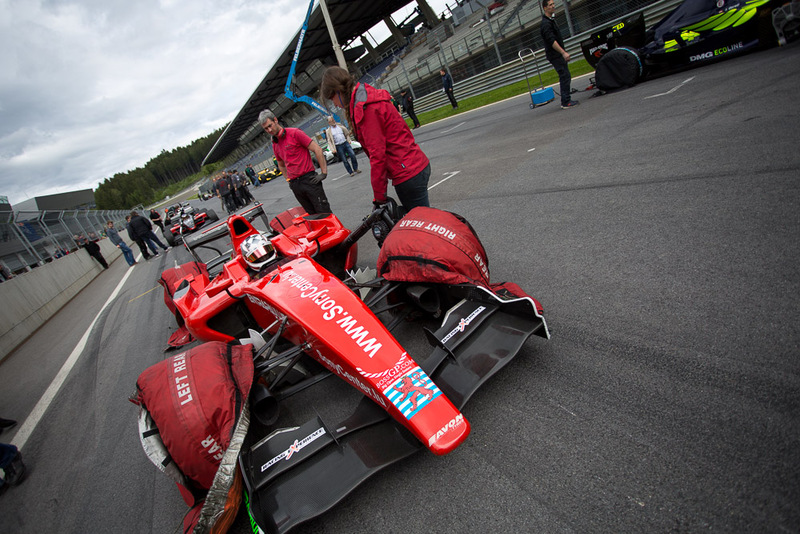 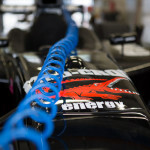 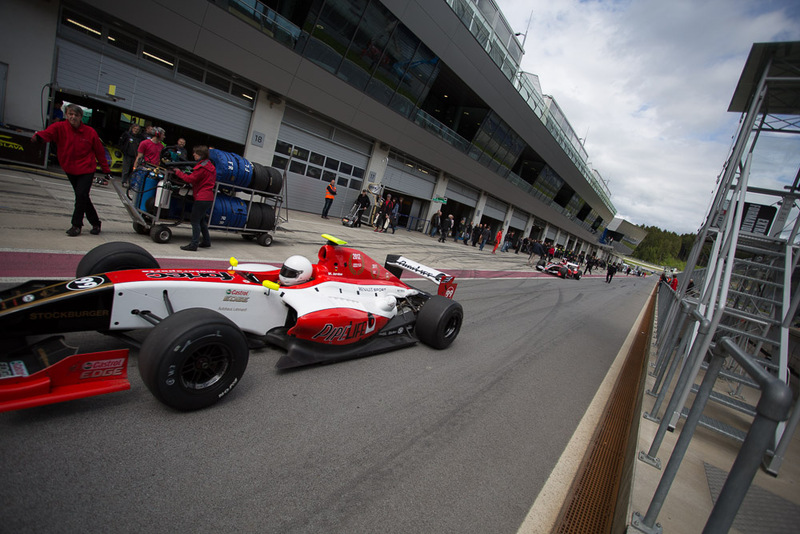 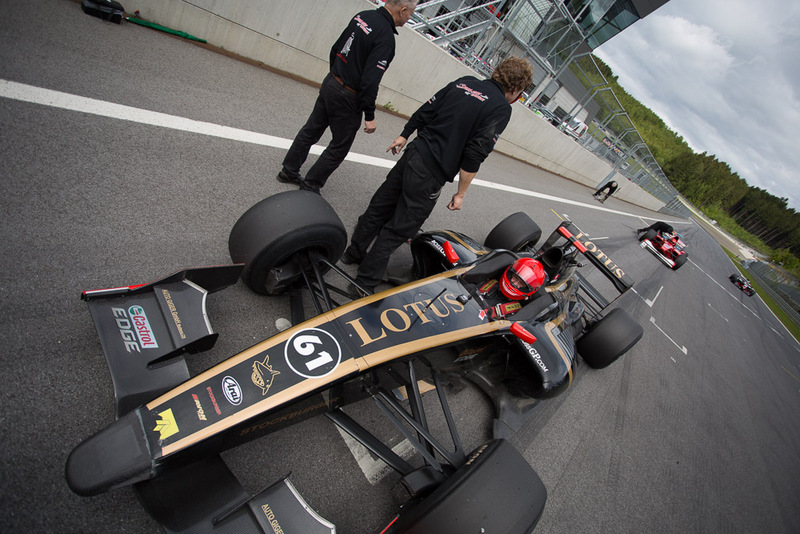 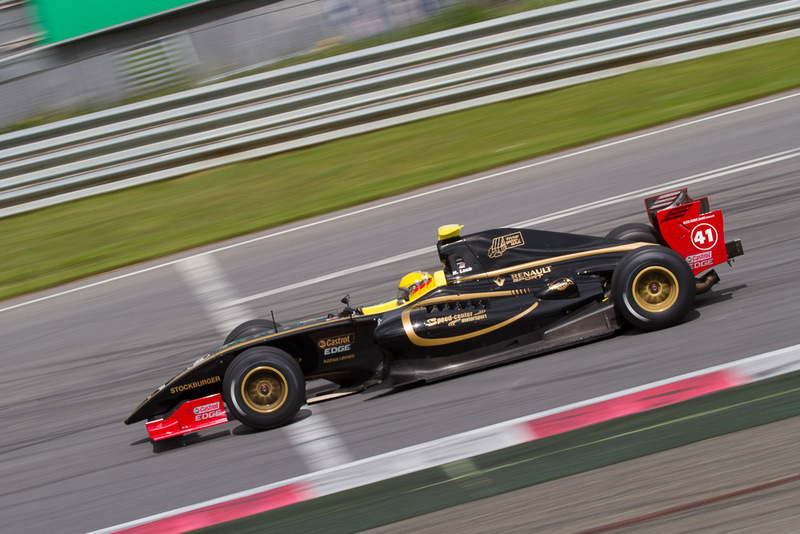 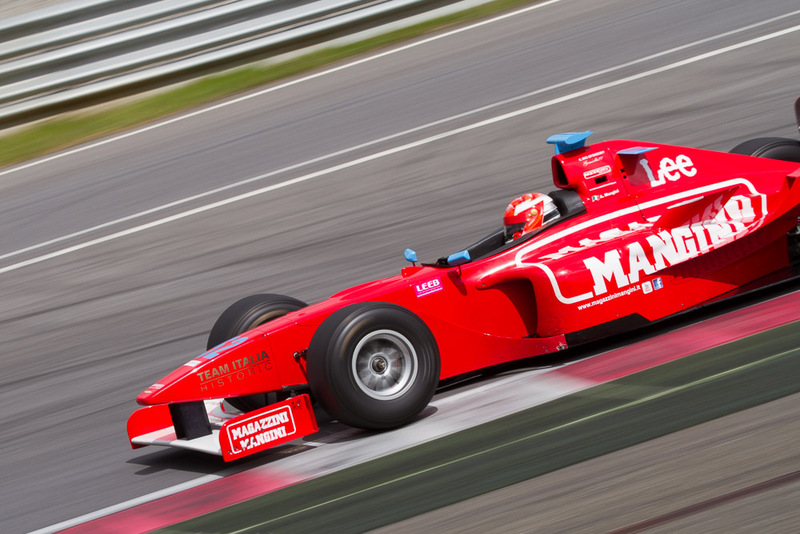 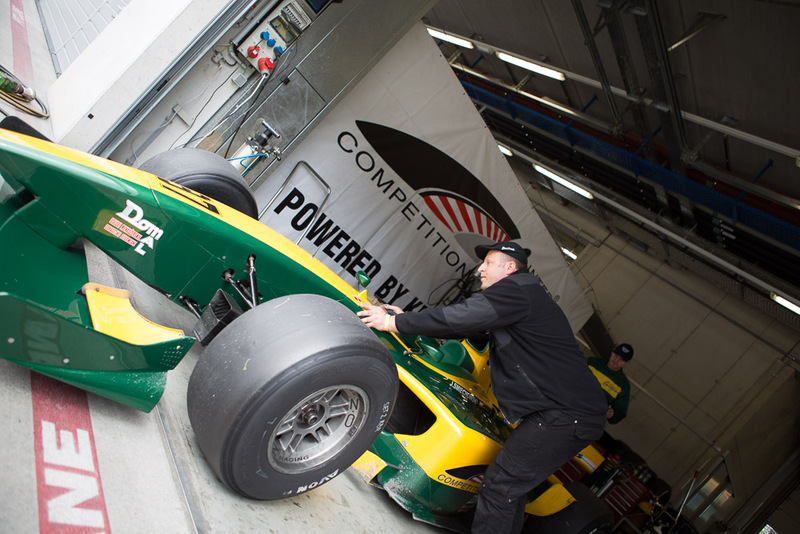 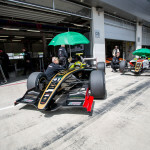 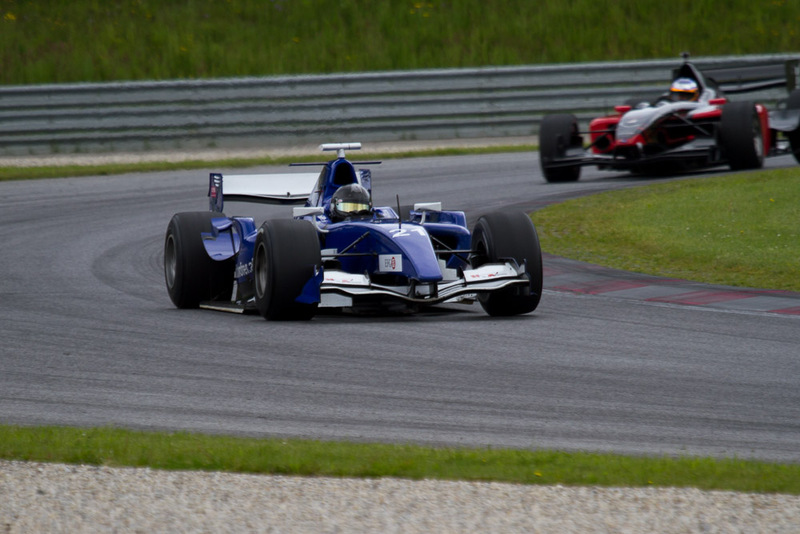 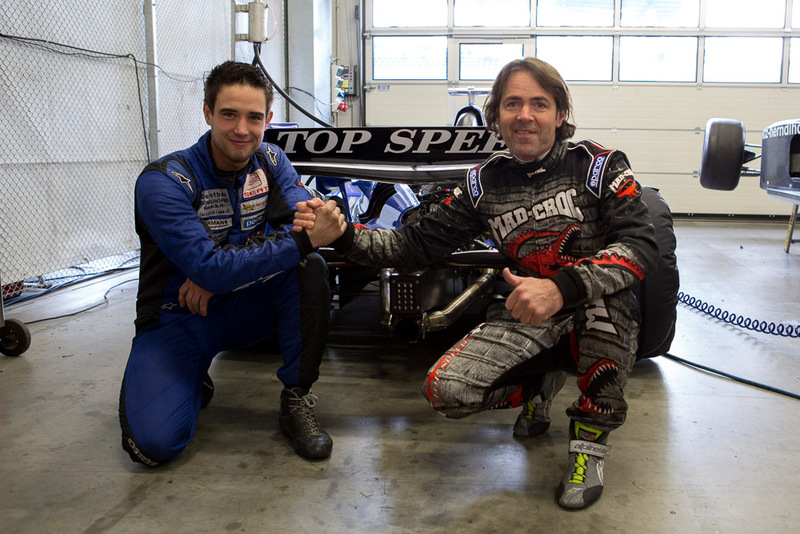 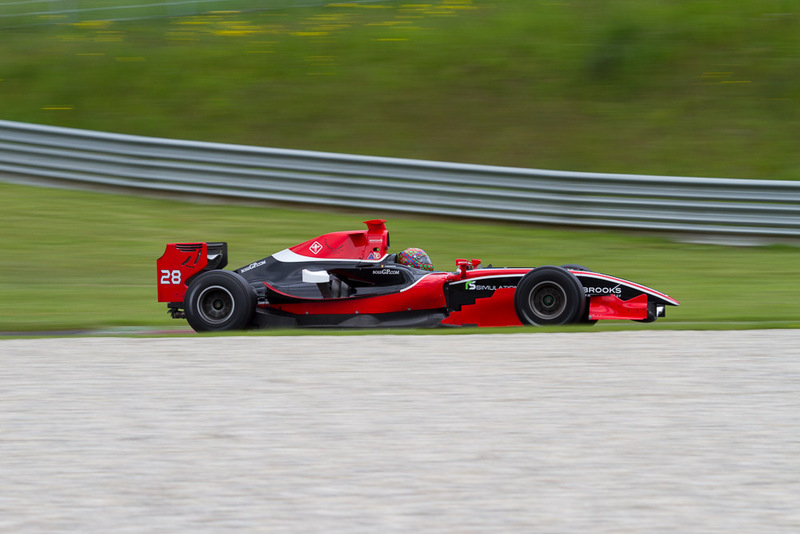 The BOSS GP Foundation often receives information and offers about testing possibilities for BOSS teams and drivers but also generally for owners of big single seaters to test and prepare their cars for the upcoming race activities. 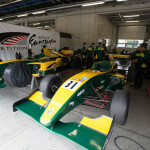 If you are interested to participate in one of these tests don’t hesitate and feel free to contact the respective organizer. 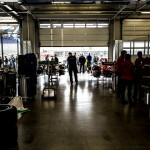 The list will be constantly updated!